Provided herein are screening methods for identifying compounds for use as an arthropod repellent based on the masking or inhibition of the detection of the skin odor by a cpA neuron. Provided herein are also screening methods for identifying compounds for use as an arthropod attractant based on activation of the cpA neuron. Further provided are one or more compounds identified using the screening methods described herein, and compositions containing such compounds. This application is a continuation application of International Application PCT/US14/029201, with an international filing date of Mar. 14, 2014, which claims priority to and the benefit of U.S. Provisional Patent Application No. 61/799,734, filed Mar. 15, 2013, the disclosures of which are incorporated herein by reference in their entireties. The present disclosure relates generally to the field of arthropod repellents and attractants, and more specifically to methods of identifying such repellents based on affecting the detection of human skin odors in arthropods. Blood-feeding insects, such as mosquitoes, transmit deadly pathogens like malaria parasites, dengue viruses, and filarial worms to hundreds of millions of people every year. Insect repellents can be very effective in reducing vectorial capacity by blocking the contact between blood-seeking insects and humans; however, they are seldom used in disease-prone areas of Africa and Asia due to high costs and need for continuous application on skin. N,N-Diethyl-m-toluamide (DEET) is an example of an insect repellent used in the developed world for more than sixty years. The use of DEET as an insect repellent, however, has several drawbacks. For example, DEET is a solvent capable of melting several forms of plastics, synthetic fabrics, painted and varnished surfaces (Krajick et al., Science, 313: 36, 2006). Additionally, DEET has been shown to inhibit mammalian cation channels and human acetylcholinesterase, which is also inhibited by carbamate insecticides commonly used in disease endemic areas (Corbel et al., BMC Biol, 7, 2009). These concerns are enhanced by the requirement of direct and continuous application of DEET to every part of exposed skin in concentrations that can be as high as 30-100%. Several instances of increased resistance to DEET have also been reported in flies, Anopheles albimanus, and Aedes aegypti (Reeder et al., J Econ Entomol, 94: 1584, 2001; Klun et al., J Med Entomol, 41: 418, 2004; Stanczyk et al., Proc Natl Acad Sci USA, 107: 8575, 2010). Moreover, mosquito strains with resistance to pyrethroid insecticides, the main line of defense against mosquitoes in developing countries, are spreading (Butler et al., Nature, 475: 19, 2011). The other major barrier in developing new repellents is the time and cost of development, which can take more than $30 million and several years to identify new compounds that not only repellent to insects, but are also safe for human use. Thus, what is needed in the art are alternative compounds to DEET that can be used as insect repellents but are safe for human use, and methods of identifying such alternatives. f) identifying a compound that is a repellent for at least one arthropod species by determining whether or not the candidate compound masks or inhibits the detection of the skin odor by the neuron. In some embodiments, the neuron expresses at least one of AgGr22, AgGr23, and AgGr24 in Anopheles gambiae (also called Gr1, Gr2 and Gr3), or any insect orthologs thereof. In some embodiments, the skin odor is an individual odorant or the skin odor comprises a plurality of odorants. In one embodiment, the neuron is a cpA neuron in maxillary palps of mosquitoes. In certain embodiments, the neuron is from an arthropod. In certain embodiments, the neuron is from an insect. In some embodiments, the compound that is a repellent for at least one arthropod species is identified by determining whether or not the candidate compound masks or inhibits at least 75% of the detection of the skin odor by the neuron. In certain embodiments, the compound is identified in an in vitro assay or in vivo assay. In some embodiments, the activity of the neuron is measured by one or more electrophysiological parameters, one or more activity imaging parameters, or any combinations thereof. Provided herein is also a composition that includes one or more compound identified according to any of the methods described above. c) one or more compounds that each is a repellent for at least one arthropod species, wherein the one or more compounds each masks or inhibits the detection of the skin odor by the neuron during or after exposure to the one or more compounds. In some embodiments, the skin odor is an individual odorant or the skin odor comprises a plurality of odors. In some embodiments, the neuron is a cpA neuron. In certain embodiments, the neuron is from an arthropod. In certain embodiments, the neuron is from an insect. In some embodiments, the one or more compounds each masks or inhibits at least 75% of the detection of the skin odor by the neuron. In some embodiments, the composition includes: i) one or more compounds of formula (Ia); and ii) one or more compounds selected from compounds of formulae (Va) and (III), or any combination thereof. In certain embodiments, the one or more compounds of formula (Ia) are one or more alkyl 2-oxopropanoates. In one embodiment, the one or more alkyl 2-oxopropanoates are selected from the group consisting of ethyl 2-oxopropanoate and methyl 2-oxopropanoate. In some embodiments, x is 0 to 8. In certain embodiments, x is 1 or 2; W is —NRcRd; each Ra, Rb, Rc, Rd, and Rn is H; and each An and Am is independently alkyl. or, or a combination thereof. Provided herein is also a composition for use as an arthropod repellent that includes: i) one or more pyruvate inhibitors selected from the compounds of Table A, Group II; and ii) one or more super activators selected from the compound of Table A, Group III. In some embodiments, the composition is formulated into a lotion, a cream, a spray, a dust, a vaporizer, a treated mat, a treated outerwear, an oil, a candle, or a wicked apparatus. R31-R34 are each independently selected the group consisting of H, D, a halides, and an optionally substituted aliphatic group; and/or two or more of R31-R34 can be linked together to form one or more optionally substituted cycloalkyl, cycloalkenyl, cycloalkynyl, aryl, or heterocycle, or any combination thereof. ii) one or more compounds selected from compounds of formulae (Ia), (Xb), (Xc), and (XIa), or any combination thereof. In some embodiments, one or more compounds selected from thiophene, 1H-pyrrole, hex-5-en-2-one, and methyl 2-methylpropanoate. In some embodiments, the cycloalkanone is a C4 to C6 cycloalkanone. In one embodiment, the cycloalkanone is cyclopentanone. In another embodiment, the composition includes cyclopentanone and ethyl acetate. Provided is also a composition for use as an arthropod attractant that includes two or more compounds selected from Table A, Group I. In some embodiments, the composition is used in an arthropod trap. In one embodiment, the arthropod trap is suction-based, light-based, electric current-based, or any combination thereof. Provided is also a composition comprising a compound identified according to any one of the methods described above. The present application can be best understood by references to the following description taken in conjunction with the accompanying figures. FIG. 1a is schematic of the maxillary palp capitate peg sensillum with three ORNs. FIG. 1b depicts representative traces and mean change in firing rate of the Aedes aegypti cpA (large amplitude that expresses Gr1, Gr2 and Gr3) neuron to a 0.5-s human skin odor stimuli from glass beads laden with foot odor, in which responses to clean-bead controls from the same recording session have been subtracted, and n=6-7. FIG. 1c includes a bar graph (left) summarizing the cpA response for individual components of skin odor in A. aegypti and A. gambiae, and representative traces and mean increase in firing rate of the cpA neuron to 0.5-s pulses of individual components of skin odor in A. aegypti and A. gambiae, where n=4-7 (right). FIG. 1d is a graph illustrating the temporal response of the A. aegypti cpA mean firing frequency to a 1-s stimulus counted in 100-ms bins, where average response to n=4-5 stimuli is repeated in 15 s cycles. FIG. 1e is a graph illustrating A. aegypti cpA responses to representative activating odorants are dose dependent, in which all odorants except CO2 is dissolved in paraffin oil (PO) at 10−2 except where indicated, and error bars are s.e.m. FIG. 2a is a comparison of chemical structures of butyraldehyde, butyric acid, and butyryl chloride. FIG. 2b depicts representative cp responses to 0.5-s pulses of indicated odorants after a 3-min pre-exposure to butyryl chloride (10−2) (cpA-off) or solvent (sham treatment). FIG. 2c is a bar graph illustrating the mean odorant-evoked responses of the cpA neuron in cpA-off and sham treated mosquitoes, and FIG. 2d is a bar graph illustrating the combined odor-evoked responses of two neighbouring neurons, cpB and cpC, where for both of these figures, n=6 individuals, 1-4 sensilla surveyed per individual; analysed by nested ANOVA, and baseline refers to cpA activity in the presence of room air. FIG. 2e is a graph illustrating averaged traces and FIG. 2f is a graph illustrating mean electroantennograph (EAG) responses to air puffed over glass beads laden with foot odor or a clean bead control, where EAG peaks are normalized to 3-methyl-1-butanol response, n=9, and analysed by t-test. FIG. 2g depicts sample traces and mean cpA responses to 0.5-s pulses of foot odor (mixed beads from Person 1 and Person 2) in cpA-off and sham treated mosquitoes, in which n=4 individuals, 2-3 sensilla surveyed per individual, and analysed by nested ANOVA. FIG. 2h is a schematic of wind tunnel assay, where human odor was provided by a dish of glass beads that had been worn in socks for ˜6 hrs (Person 1), and flight behaviour of individual female mosquitoes was recorded for 5 min or until they landed on the beads. FIGS. 2i-k are bar graphs illustrating the proportion of butyryl chloride pre-exposed and sham treated mosquitoes presented with beads with no odor or foot odor that landed on beads (FIG. 2i ), that took off from the release cage (FIG. 2j ), and that did take off that succeeded in landing on the beads (FIG. 2k ), where n=20-23 individuals per condition, analysed by one-tailed proportion Z-test, *p<0.05, **p<0.01, ***p<0.001, and error bars are s.e.m. All odorants except CO2 were dissolved in paraffin oil at 10−2 except where indicated. FIG. 3a is a schematic providing an overview of the cheminformatics method used to identify novel cpA ligands from a large untested chemical space. FIG. 3b depicts representative traces and mean responses of the A. aegypti cpA neuron to 0.5-s pulses of 138 predicted compounds screened using single-sensillum recordings, in which odorants were diluted to 10−2 in paraffin oil or water, and responses to solvent have been subtracted, n=2-6, and error bars are s.d. FIG. 3c depicts representative traces and mean percent inhibition of the A. aegypti cpA neuron's response to 0.15% CO2 by a panel of 107 odorants presented as a 1-s stimulus (10−2) in the middle of a 3-s CO2 stimulus, where n=2, except for ethyl and methyl pyruvate, n=6. Percent inhibition was calculated by comparing mean odorant overlay responses to mean solvent overlay responses, and error bars are s.d. FIG. 3d depicts representative traces from the A. aegypti cp sensillum to 1-s pulses of 0.15% CO2 prior to and following a 3-s exposure to either solvent (paraffin oil) or (E)-2-methylbut-2-enal (10−1). FIG. 3e is a graph illustrating the cpA baseline activity in the 1 s prior to each stimulus is elevated following exposure to odorant, where error bars are s.e.m. FIG. 3f is a bar graph illustrating the mean responses of the cpA neuron to 1-s pulses of 0.15% CO2, calculated by subtracting the 1 s of the baseline activity prior to each stimulus, where n=5-6 individuals, analysed by t-test, ***p<0.001, and error bars are s.e.m. FIG. 4a is a graph illustrating the dose response of inhibition of A. aegypti cpA neuron when a 1-s stimulus of ethyl pyruvate is overlaid on a 3-s stimulus of 0.15% CO2, where n=6 for each concentration. FIG. 4b depicts representative trace and mean response when a 1-s stimulus of ethyl pyruvate (10−2) is overlaid on a 2-s stimulus of foot odor (mixed beads from Person 1 and Person 2), where n=6. FIG. 4c depicts representative images (left) of hand-in-cage assay mesh window and a graph (right) illustrating the mean number of mosquitoes on the netting at the indicated time points for ethyl pyruvate-treated or solvent-treated netting. n=8 each. FIG. 4d is a graph illustrating the dose responses of the cpA neuron to cyclopentanone in A. aegypti and C. quinquefasciatus, where n=5-6. FIG. 4e is a graph illustrating the mean responses in 100 ms bins to pulses of cyclopentanone (10−2), CO2, or blank odor cartridges. n=4 replicates of 6 repeated pulses of each odorant. FIG. 4f depicts representative traces of repeated 1-s stimuli of cyclopentanone (10−2) and 0.15% CO2. FIG. 4g is a schematic of two-choice greenhouse experiments with two counterflow geometry traps, in which mosquitoes were trapped overnight in odorant-baited and solvent (water)-baited traps. FIG. 4h is a graph illustrating the mean number of mosquitoes/trial captured in baited and control traps. n=9 trials with CO2, n=6 with each concentration of cyclopentanone. FIG. 4i is a graph illustrating the preference index for CO2 and cyclopentanone trials (from FIG. 4h ), and for similar two-choice assays between lactic acid and solvent (n=6) or between CO2 and CO2 with ethyl pyruvate. n=5, where error bars are s.e.m, t-test, *p<0.05, **p<0.01, ***p<0.001. FIG. 5a is a graph illustrating the principle component analysis (PCA) of odorants calculated from 64 optimized molecular descriptor values, in which circle size corresponds to cpA activity evoked by each odorant, and dark green=human skin odorants, light green=predicted activator, red=predicted inhibitor, grey=predicted odorants that are inactive, black=odorants that activate A. gambiae olfactory receptors (AgOrs). FIG. 5b illustrates the PCA analysis of FIG. 5a relabelled by chemical functional groups, with circle size representing their cpA activity (right). FIG. 5c is a hierarchical clustering of odorants that interact with cpA with inter-chemical distances generated from activity-optimized descriptors, and sample structures and associated activity are provided. FIG. 5d provides an overview of the support vector machine (SVM) integrated pipeline to improve computational prediction of novel CpA ligands. FIG. 5e is a graph illustrating the receiver-operating-characteristic curve (ROC) showing increased predictive accuracy of SVM method (red line) to our previous non-SVM method (black line) using a 5-fold cross-validation. FIG. 5f is a bar graph illustrating the mean responses of the A. aegypti cpA neuron to 0.5-s pulses of 22 newly predicted compounds screened as in FIG. 3b , where salmon bars correspond to odorants found in human odor, odorants were diluted to 10−2 in paraffin oil or water, and responses to solvent have been subtracted, and n=2-5. FIG. 6 is an exemplary model for cpA-mediated host-seeking and odorants that disrupt it, in which inhibitors may be used to block attraction to both CO2 and skin odor (MASK) and activators may be used as lures for traps (PULL). FIG. 7a is a schematic of a human odor delivery system. FIG. 7b is a schematic of an activation screen. For the activation screen, insertion sites for “blank” and “odor cartridges” were spaced 12 cm apart, and flow rates through the stimulus controller were adjusted for each individual preparation. Black arrows indicate switch in airflow during stimulus delivery. FIGS. 8a-8f illustrate an electrophysiological analysis of cpA action potential and spiking activity in response to various stimuli (such as odors). FIG. 9a illustrates sample traces from repeated stimulus experiments: 1-s pulses of odorant (10-2 in PO except CO2) were repeated every 15 s; temporal dynamics of responses to each pulse of the same odorant were virtually identical and are summarized in FIG. 1 d.
FIG. 9b illustrates sample traces and mean cpA responses to 0.5-s pulses of 0.15% and 0.4% CO2 from cpA-off or sham treated mosquitoes 6, 12, and 24 hours after treatment. FIG. 9c illustrates averaged traces of EAG responses to 0.5-s stimuli of indicated odorants (10-1 in PO). FIG. 9d illustrates EAG responses normalized to the reference odor 3-methyl-1-butanol. No significant differences due to treatment (n=9; t-test). FIG. 9e is a schematic of the apparatus used to assay short-range attraction to heat and humidity. FIG. 9f illustrates mosquitoes' tendency to rest at the top surface of the cage increased in the presence of a warm, wet stimulus. Mosquitoes in each treatment group were observed to probe through the mesh with their proboscides when stimulus was present. No significant differences due to treatment (n=6 replicates; Mann-Whitney rank-sum test). FIG. 10a is a schematic of the wind tunnel used in the wind tunnel assays showing the mosquito release chamber, human foot odor bead stage, and retracted bead cover. FIG. 10b shows histograms quantifying the number of mosquitoes that took off during the 5-minute assay in each of three experimental conditions. Heights of bars are proportional across all three histograms. X's mark when a mosquito landed on the odor source. FIG. 10c shows plots where each row indicates flight behavior of each individual mosquito assayed. Shaded areas on each line represent time between when the mosquito left the release cage and when it landed on the beads or the assay ended at 5 min. Colors correspond to where the mosquito was located in the wind tunnel (as indicated in FIG. 10a ) at each moment. FIG. 11a illustrates the mean percent inhibition of A. aegypti cpA response to 0.15% CO2 overlaid with different concentrations of methyl pyruvate (n=6). FIG. 11b illustrates the mean responses of the cpA neuron to different concentrations of thiophene for C. quinquefasciatus and A. aegypti (n=4). FIG. 11c illustrates that the temporal response profiles elicited by repeated exposures to cyclopentanone are similar to those elicited by CO2. Individuals were exposed to 6 repeated 1-s pulses of either 0.15% CO2 or cyclopentanone (10-2), spaced 20 s apart. Shown are the mean responses (across 4 animals per treatment) for each sequential pulse. Activity was calculated in 100 ms bins for a total of 6 s following the onset of the stimulus. Values were adjusted by subtracting baseline activity measured 5-6 s after each pulse. The following description is presented to enable a person of ordinary skill in the art to make and use the various embodiments. Descriptions of specific materials, techniques, and applications are provided only as examples. Various modifications to the examples described herein will be readily apparent to those of ordinary skill in the art, and the general principles defined herein may be applied to other examples and applications without departing from the spirit and scope of the various embodiments. Thus, the various embodiments are not intended to be limited to the examples described herein and shown, but are to be accorded the scope consistent with the claims. Provided herein are screening methods for identifying one or more compounds that are repellents for at least one arthropod species. The repellants may mask or inhibit detection of human skin odor by at least one arthropod species. Provided herein are also screening methods for identifying one or more compounds that are attractants for at least one arthropod species. Arthropods are invertebrate animals characterized as having an exoskeleton, a segmented body, and jointed appendages. Arthropods belong to the Phylum Arthropoda under Kingdom Animalia. The Phylum of Arthropoda, or an “arthropod” includes any invertebrate animal from the Classes of Insecta, Arachnida, Diplopoda, Chilopoda, Crustacea, and Xiphosura. In some embodiments, arthropod may refer to insects and arachnids that are exoparasitic sanguinivorous feeding pests, including any insect from the Order Diptera, such as mosquitoes, and any arachnid from the Order Ixodida, such as ticks. Examples of mosquitoes include Anopheles, Mimomyia, Culiseta, Orthopodomyia, Mansonia, Culex, Heizmannia, Aedes, Armigeres, Uranotaenia, Tripteroides, Topomyia, Malaya, and Toxorhynchite. As a specific type of such mosquito, an example of the Anopheles includes anopheles sinesis wiedemann. Examples of the Culex include Culex quinquefasciatus, Culex pipiens pallens, Culex pipiens molestus, and Culex tritaeniorhynchus. Examples of the Aedes include Aedes albopictus and Aedes aegypti. An example of the Armigeres includes Armigeres subalbatus. The screening methods can be used to identify one or more arthropod repellents based on masking or inhibiting the detection of the skin odor by a Gr1-, Gr2- and/or Gr3-expressing_neuron (e.g., that may be a cpA neuron). In some embodiments, the method includes: a) providing a candidate compound and a skin odor; b) providing a sample comprising a Gr1-, Gr2- and/or Gr3-expressing_neuron; c) contacting the candidate compound with the sample; d) measuring the detection of the skin odor by the Gr1-, Gr2- and/or Gr3-expressing_neuron; e) comparing the detection of the skin odor by the Gr1-, Gr2- and/or Gr3-expressing_neuron after contact with the candidate compound to the detection of the skin odor by the Gr1-, Gr2- and/or Gr3-expressing_neuron in the absence of the candidate compound; and f) identifying a compound that is a repellent for at least one arthropod species by determining whether or not the candidate compound masks or inhibits the detection of the skin odor by the Gr1-, Gr2- and/or Gr3-expressing_neuron. The screening methods can also be used to identify one or more arthropod attractants based on activating a Gr1-, Gr2- and/or Gr3-expressing_neuron. The screening methods provided herein may be used to screen one candidate compound or a plurality of candidate compounds. The one or more candidate compounds may be natural or synthetic compounds. For example, the one or more candidate compounds may be from bacterial, fungal, plant and animal extracts that are commercially available or readily produced. The one or more candidate compounds can also be chemically-modified compounds, such as by acylation, alkylation, esterification, or acidification of natural compounds. The one or more candidates compounds screened in the methods described herein may be pre-selected based on one or more criteria. For example, a set of compounds with structural similarities to known insect repellents, like DEET, may be screened and selected for use in the methods described herein. A computation method may be used to select such candidate compounds. Other criteria used for selecting the one or more candidate compounds include the environmental impact of the compounds, regulatory approval of the compounds for human consumption (e.g., FDA-approval), and the smell of the compounds (e.g., natural fragrances, aromas, or odors). The skin odor provided with a candidate compound or plurality of candidate compounds, may be an individual odor or a blend of odors. One of skill in the art would recognize that vertebrate odor (e.g., human odor) is a blend of hundreds of volatile chemicals from skin, sweat, and associated microbiota. Odors that can be found in human skin and that activates the Gr1-, Gr2- and/or Gr3-expressing_neuron may include, for example, the compounds in FIG. 1A or any combinations thereof. Vertebrate odor may also include skin odor blend collected from placing an adsorbent or absorbent material in contact with skin, or placed in the headspace above the skin, or a gas passed over the skin, Or skin brought into close vicinity of the cpA. The sample provided in the methods described herein may include a Gr1-, Gr2- and/or Gr3-expressing_neuron. The neuron may include three conserved seven-transmembrane domain proteins encoded by members of the gustatory receptor (Gr) gene family (Gr1, Gr2, and/or Gr3 in most mosquitoes, or AgGr22, AgGr23, and AgGr24 in A. gambiae (FIG. 1a )). Such neuron may be a cpA neuron, which is an olfactory receptor neuron (ORN), housed in specialized capitate peg (cp) sensilla and express the CO2 receptor. In mosquitoes (Aedes aegypti), cpA neurons are located in the maxillary palp organs. However, the location of cpA neurons in other arthropod species may vary. The neuron may be activated in response to a vertebrate skin odor. In one embodiment, the sample includes a cell expressing Gr1, Gr2, Gr3, or a combination thereof. In some embodiments, the neurons of the present disclosure may include a Gr1 receptor. Gr1 receptors are known in the art. The Gr1 receptors of the present disclosure may include a Gr1 receptor selected from, for example, Aedes aegypti, Anopheles gambiae, Culex quinquefasciatus, Bombyx mori, Tribolium castenium, Phlebotomus papatasi, Heliconius melpomene, Manduca sexta, and Mayetiola destructor. A homolog or an ortholog or any known or putative Gr1 receptor may also be used in the methods and systems described herein. A homolog may be a protein whose nucleic acid sequence that encodes that protein has a similar sequence to the nucleic acid sequence that encodes a known or putative Gr1 receptor, or a protein whose amino acid sequence is similar to the amino acid sequence of a known or putative Gr1 receptor. Gr1 homologs may have functional, structural or genomic similarities to any known or putative Gr1 receptor. One of skill in the art would recognize the techniques that may be employed to clone homologs of a gene, using genetic probes and PCR. Homologs can also be identified by reference to various databases and identity of cloned sequences as homolog can be confirmed using functional assays and/or by genomic mapping of the genes. Additionally, one of skill in the art would understand that an ortholog is an evolutionarily-related polypeptide or polynucleotide sequence in different species that have similar sequences and functions, and that develop through a speciation event. In some embodiments, a homolog and/or ortholog of a Gr1 receptor is a protein whose nucleic acid sequences have at least 30%, 40%, 50%, 60%, 65%, 70%, 75%, 80%, 85%, 90%, 91%, 92%, 93%, 94%, 95%, 96%, 97%, 98%, or 99% identity to the nucleic acid sequence encoding any known or putative Gr1 receptor. In another embodiment, a homolog of a Gr1 receptor is a protein whose amino acid sequence has at least 30%, 40%, 50% 60%, 65%, 70%, 75%, 80%, 85%, 90%, 91%, 92%, 93%, 94%, 95%, 96%, 97%, 98%, or 99% identity to the amino acid sequence encoding any known or putative Gr1 receptor. The Gr1 receptor may be from one or more arthropod species. For example, in certain embodiments, the Gr1 receptor is a homolog or ortholog of the Gr1 receptor from Aedes aegypti. In some embodiments, the Gr1 receptor has at least 50%, 60%, 65%, 70%, 75%, 80%, 85%, 90%, 91%, 92%, 93%, 94%, 95%, 96%, 97%, 98%, or 99% sequence identity to a polypeptide encoding a Gr1 receptor from Aedes aegypti. One of skill in the art would recognize the methods and techniques that may be employed to determine the percent identity between two amino acid sequences, or between two nucleic acid sequences. One of skill in the art would also recognize that the sequences can be aligned for optimal comparison purposes. For example, gaps can be introduced in one or both of a first and a second amino acid or nucleic acid sequence for optimal alignment and non-homologous sequences can be disregarded for comparison purposes). 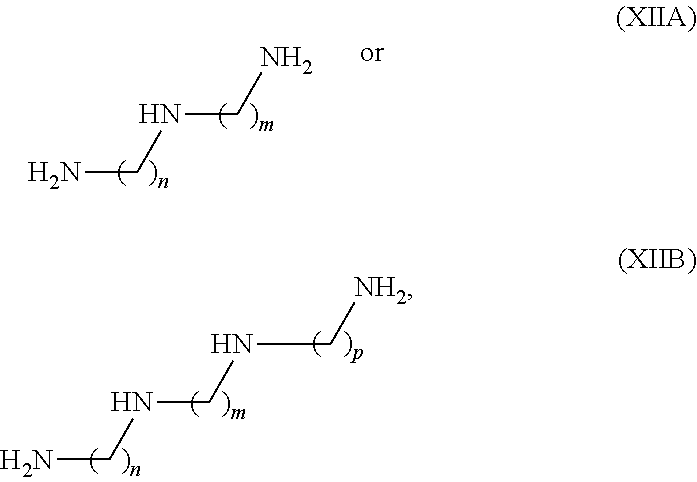 The amino acid residues or nucleotides at corresponding amino acid positions or nucleotide positions can then be compared. Methods of comparing nucleic acid or amino acid sequences are well-known in the art. In some embodiments, the neurons of the present disclosure may include a Gr2 receptor. Gr2 receptors are known in the art. The Gr2 receptors of the present disclosure may include a Gr2 receptor selected from, for example, Aedes aegypti, Anopheles gambiae, Culex quinquefasciatus, Bombyx mori, Tribolium castenium, Phlebotomus papatasi, Heliconius melpomene, Manduca sexta, and Mayetiola destructor. A homolog or an ortholog or any known or putative Gr2 receptor may also be used in the methods and systems described herein. A homolog may be a protein whose nucleic acid sequence that encodes that protein has a similar sequence to the nucleic acid sequence that encodes a known or putative Gr2 receptor, or a protein whose amino acid sequence is similar to the amino acid sequence of a known or putative Gr2 receptor. Gr2 homologs may have functional, structural or genomic similarities to any known or putative Gr2 receptor. In some embodiments, a homolog and/or ortholog of a Gr2 receptor is a protein whose nucleic acid sequences have at least 30%, 40%, 50% 60%, 65%, 70%, 75%, 80%, 85%, 90%, 91%, 92%, 93%, 94%, 95%, 96%, 97%, 98%, or 99% identity to the nucleic acid sequence encoding any known or putative Gr2 receptor. In another embodiment, a homolog of a Gr2 receptor is a protein whose amino acid sequence has at least 30%, 40%, 50%, 60%, 65%, 70%, 75%, 80%, 85%, 90%, 91%, 92%, 93%, 94%, 95%, 96%, 97%, 98%, or 99% identity to the amino acid sequence encoding any known or putative Gr2 receptor. The Gr2 receptor may be from one or more arthropod species. For example, in certain embodiments, the Gr2 receptor is a homolog or ortholog of the Gr2 receptor from Aedes aegypti. In some embodiments, the Gr2 receptor has at least 50%, 60%, 65%, 70%, 75%, 80%, 85%, 90%, 91%, 92%, 93%, 94%, 95%, 96%, 97%, 98%, or 99% sequence identity to a polypeptide encoding a Gr2 receptor from Aedes aegypti. In some embodiments, the neurons of the present disclosure may include a Gr3 receptor. Gr3 receptors are known in the art. The Gr3 receptors of the present disclosure may include a Gr3 receptor selected from, for example, Aedes aegypti, Anopheles gambiae, Culex quinquefasciatus, Bombyx mori, Tribolium castenium, Phlebotomus papatasi, Heliconius melpomene, Manduca sexta, and Mayetiola destructor. A homolog or an ortholog or any known or putative Gr3 receptor may also be used in the methods and systems described herein. A homolog may be a protein whose nucleic acid sequence that encodes that protein has a similar sequence to the nucleic acid sequence that encodes a known or putative Gr3 receptor, or a protein whose amino acid sequence is similar to the amino acid sequence of a known or putative Gr3 receptor. Gr3 homologs may have functional, structural or genomic similarities to any known or putative Gr3 receptor. In some embodiments, a homolog and/or ortholog of a Gr3 receptor is a protein whose nucleic acid sequences have at least 30%, 40%, 50% 60%, 65%, 70%, 75%, 80%, 85%, 90%, 91%, 92%, 93%, 94%, 95%, 96%, 97%, 98%, or 99% identity to the nucleic acid sequence encoding any known or putative Gr3 receptor. In another embodiment, a homolog of a Gr3 receptor is a protein whose amino acid sequence has at least 30%, 40%, 50%, 60%, 65%, 70%, 75%, 80%, 85%, 90%, 91%, 92%, 93%, 94%, 95%, 96%, 97%, 98%, or 99% identity to the amino acid sequence encoding any known or putative Gr3 receptor. The Gr3 receptor may be from one or more arthropod species. For example, in certain embodiments, the Gr3 receptor is a homolog or ortholog of the Gr3 receptor from Aedes aegypti. In some embodiments, the Gr3 receptor has at least 50%, 60%, 65%, 70%, 75%, 80%, 85%, 90%, 91%, 92%, 93%, 94%, 95%, 96%, 97%, 98%, or 99% sequence identity to a polypeptide encoding a Gr3 receptor from Aedes aegypti. The detection of the skin odor by a Gr1-, Gr2- and/or Gr3-expressing neuron may be measured by any suitable methods and techniques known in the art. Suitable methods and techniques include, for example, measuring electrophysiological parameters. One of skill in the art would recognize that whole organ recordings known as electroantennograms (EAGs) and electropalpograms (EPGs) can be used to detect the aggregate electrical activities from a large number of neurons in response to odors. Another method of detecting skin odor activation is using imaging of neural activity using fluorescent or luminescent reporters of calcium, pH, voltage, and synaptic release. The detection of the skin odor by a Gr1-, Gr2- and/or Gr3-expressing neuron after contact with the candidate compound or plurality of candidate compounds is compared with the detection of the skin odor by a Gr1-, Gr2- and/or Gr3-expressing_neuron in the absence of the candidate compound or plurality of candidate compounds to determine whether a candidate compound is an arthropod repellent. In some embodiments, a candidate compound is selected as an arthropod repellent based on the ability of the candidate compound to mask the detection of the skin odor by a Gr1-, Gr2- and/or Gr3-expressing_neuron. In certain embodiments, a candidate compound is selected as an arthropod repellent based on at least 75%, 80%, 85%, 90%, 91%, 92%, 93%, 94%, 95%, 96%, 97%, 98% or 99% masking of the detection of the skin odor by a Gr1-, Gr2- and/or Gr3-expressing_neuron. In other embodiments, a candidate compound is selected as an arthropod repellent based on the ability of the candidate compound to inhibit the detection of the skin odor by the Gr1-, Gr2- and/or Gr3-expressing_neuron. In certain embodiments, a candidate compound is selected as an arthropod repellent based on at least 75%, 80%, 85%, 90%, 91%, 92%, 93%, 94%, 95%, 96%, 97%, 98% or 99% inhibition of the detection of the skin odor by the Gr1-, Gr2- and/or Gr3-expressing_neuron. One or more candidate compounds may be identified as an arthropod attractant based on the activation of the Gr1-, Gr2- and/or Gr3-expressing_neuron. In certain embodiments, a candidate compound is selected as an arthropod attractant based on at least 75%, 80%, 85%, 90%, 91%, 92%, 93%, 94%, 95%, 96%, 97%, 98% or 99% increase in activation of the Gr1-, Gr2- and/or Gr3-expressing_neuron over baseline activity in standard room air. Provided herein are also systems used for identifying one or more compounds that are repellents for at least one arthropod species, based on masking or inhibiting the detection of human skin odor by at least one arthropod species. In some embodiments, the system includes: a) a sample that includes a Gr1-, Gr2- and/or Gr3-expressing_neuron; b) a skin odor; and c) one or more compounds that each is a repellent for at least one arthropod species, wherein the one or more compounds each masks or inhibits the detection of the skin odor by the Gr1-, Gr2- and/or Gr3-expressing_neuron. In certain embodiments, the one or more compounds each masks or inhibits at least 75%, 80%, 85%, 90%, 91%, 92%, 93%, 94%, 95%, 96%, 97%, 98% or 99% of the detection of the skin odor by the Gr1-, Gr2- and/or Gr3-expressing_neuron. As described above, the skin odor may be an individual odor or the skin odor may be made up of a plurality of odors. In some embodiments, the Gr1-, Gr2- and/or Gr3-expressing_neuron may be from an arthropod or, in certain embodiments, an insect. Provided herein are also systems used for identifying one or more compounds that are attractants for at least one arthropod species, based activation of the Gr1-, Gr2- and/or Gr3-expressing_neuron. In certain embodiments, a candidate compound is selected as an arthropod attractant based on at least 75%, 80%, 85%, 90%, 91%, 92%, 93%, 94%, 95%, 96%, 97%, 98% or 99% activation of the Gr1-, Gr2- and/or Gr3-expressing_neuron. The following compounds have been identified using the methods and systems described herein to modulate an arthropod olfactory neuron, such as a Gr1-, Gr2- and/or Gr3-expressing neuron. One or more of such compounds may be used in a composition that is an arthropod repellent. R1 and R2 are each independently selected from the group consisting of H, D, halide, optionally substituted aliphatic group, and optionally substituted hetero-aliphatic group; or R1 and R2 can be linked together to form an optionally substituted cycloalkyl, cycloalkenyl, cycloalkynyl, aryl, or heterocycle. In some embodiments of formula (I), when X1 and X2 are each O, and R1 or R2 is methyl, then the other R2 or R1 is H, D, halide, optionally substituted C2+ aliphatic group, and optionally substituted hetero-aliphatic group. In certain embodiments of formula (I), when X1 and X2 are each O, R1 and R2 are each other than methyl (i.e., the compound of formula (I) is other than methyl acetate). In certain embodiments, aliphatic compounds include any non-aromatic compounds, and may be saturated or unsaturated with one or more double or triple bonds. Examples of aliphatic compounds include (C1 to C15)alkyls, (C1 to C15) alkenyls, (C1 to C15)alkynyls, cycloalkyls, cycloalkenyls, and cycloalkynyls. In certain embodiments, hetero-aliphatic groups include any aliphatic compounds in which at least one carbon atom is replaced by a heteroatom, such as nitrogen, oxygen or sulfur. Examples of hetero-aliphatic groups may include (C1 to C14)hetero-alkyls, (C1 to C14)hetero-alkenyls, and (C1 to C14)hetero-alkynyls. Optionally substituted groups which contain halogens may include, for example, haloalkanes, and haloalkenes. Optionally substituted groups which contain oxygen may include, for example, hydroxyls, carbonyls, aldehydes, haloformyls, carbonate esters, carboxylates, carboxyls, esters, ethers, peroxides, hydroperoxides, hemiacetals, hemiketals, acetals, ketals, orthoesters, and orthocarbonate esters. Optionally substituted groups which contain nitrogen may include, for example, amides, amines, imines, enamines, imides, azides, azo compounds, cyanates, nitrates, nitros, nitriles, nitrosos, and pyridyls. Optionally substituted groups which contain sulfur may include, for example, thiols, sulfides, disulfides, sulfoxides, sulfones, sulfinos, sulfos, thiocyanates, thiones, and thials. Optionally substituted groups which contain phosphorus may include, for example, phosphinos, phosphonos, and phosphates; optionally substituted groups which contain boron, such as boronos, boronates, borinos, and borinates. Optionally substituted groups which contain silicon may include, for example, silyl ethers, silicates, siloxanes, and silanes. R1 and R2 are each independently selected from the group consisting H, OH, SH, an optionally substituted aliphatic or hetero-aliphatic group having 1 to 6 carbon atoms, and a cyclic group having 4 to 8 ring carbon atoms; or R1 and R2 can be linked together to form an optionally substituted aliphatic, heteroaliphatic, aromatic or heteroaromatic ring system having 3 to 6 ring carbon atoms. The aliphatic or hetero-aliphatic groups may be straight or branched, and saturated or unsaturated. In some embodiments of formula (Ia), when R1 or R2 is methyl, then the other R2 or R1 is H, D, halide, optionally substituted C2+ aliphatic group, and optionally substituted hetero-aliphatic group. In certain embodiments of formula (Ia), when R1 and R2 are each other than methyl (i.e., the compound of formula (Ia) is other than methyl acetate). In some embodiments of formula (Ia), R1 and R2 are each independently selected from the group consisting of H, OH, SH, an optionally substituted aliphatic or hetero-aliphatic group having 1 to 4 carbon atoms; or R1 and R2 can be linked together to form an optionally substituted aliphatic, heteroaliphatic, aromatic or heteroaromatic ring system having 4 to 6 ring carbon atoms. In other embodiments of formula (Ia), when X1 and X2 are each O, and R2 is an optionally substituted aliphatic group, then R1 is H, OH, SH, an optionally substituted aliphatic or hetero-aliphatic group having 1 to 6 carbon atoms. In certain embodiments of formula (Ia), when X1 and X2 are each O, R2 is an optionally substituted aliphatic group, and R1 is a cyclic group having 4 to 8 ring carbon atoms, then the cyclic group is other than optionally substituted aryl. In certain embodiments of formula (Ia), when X1 and X2 are each O, R2 is an optionally substituted aliphatic group, and R2 is a cyclic group having 4 to 8 ring carbon atoms, then the cyclic group is other than aryl substituted with an optionally substituted amino group. R1 and R2 are each independently selected from the group comprising H, OH, SH, an optionally substituted aliphatic or hetero-aliphatic group having 1 to 6 carbon atoms, and a cyclic group having 4 to 8 ring carbon atoms; or R1 and R2 can be linked together to form an optionally substituted aliphatic, heteroaliphatic, aromatic or heteroaromatic ring system having 3 to 6 ring carbon atoms. In some embodiments of formula (Ib), R1 and R2 are each independently selected from the group consisting of H, OH, SH, and an optionally substituted aliphatic or hetero-aliphatic group having 1 to 4 carbon atoms; or R1 and R2 can be linked together to form an optionally substituted aliphatic, heteroaliphatic, aromatic or heteroaromatic ring system having 4 to 6 ring carbon atoms. In one embodiment, the compound of formula (I) is selected from methyl propanoate, methyl 2-methylpropanoate, propyl acetate, ethyl acetate, propyl formate, prop-2-enyl-propanoate, 2-methylpropyl formate, methyl butanoate, methyl acetate, methyl propionate, propyl formate, isobutyl formate, methyl isobutyrate, methyl butyrate, ethyl formate, methyl methacrylate, alpha-angelica lactone, allyl propionate, allyl butyrate, dimethyl carbonate, methyl 2-methylprop-2-enoate, ethyl formate, ethyl (E)-but-2-enoate, prop-2-enyl-butanoate, oxolan-2-ylmethyl acetate, benzyl formate, propan-2-yl benzoate, 2-phenylethyl 3-methylbutanoate, [(E)-3-phenylprop-2-enyl]formate, 2-phenylethyl (E)-2-methylbut-2-enoate, 2-(trimethylazaniumyl)acetate, oct-1-en-3-yl butanoate, 2-phenylethyl propanoate, benzyl 3-oxobutanoate, [(2E)-3,7-dimethylocta-2,6-dienyl] formate, 2-methylpropyl-(Z)-but-2-enoate, 2-phenylethyl butanoate, ethyl pyruvate, and methyl pyruvate. In another embodiment, the compound of formula (I) is selected from 2,2-dimethyl-3-(2-methyl-propenyl)-cyclopropanecarboxylic acid ethyl ester, acetic acid 2,2,6-trimethyl-6-vinyl-tetrahydro-pyran-4-yl ester, isobutyric acid 1-methyl-1-(4-methyl-cyclohex-3-enyl)ethyl ester, acetic acid 2-isopropylidene-4,8-dimethyl-1,2,3,3a,4,5,6,8a-octahydro-azulen-6-yl ester, (4-tert-butyl-phenyl)-acetic acid methyl ester, acetic acid 1-[2-(3,3-dimethyl-oxiranyl)-ethyl]-1-methyl-allyl ester, pentanoic acid 5,5,6-trimethyl-bicyclo[2.2.1]hept-2-yl ester, (1H-indol-2-yl)acetic acid, 6-methyl-2-(3-methyl-cyclohex-3-enyl)-hept-5-en-2-ol, propionic acid 5-isopropenyl-2-methyl-cyclohex-2-enyl ester, 2-hydroxymethyl-but-2-enoic acid 7-(2-methyl-but-2-enoyloxy)-5-,6,7,7a-tetrahydro-3H-pyrrolizin-1-ylmethyl ester, (2-isopropenyl-1-methyl-cyclobutyl)-acetic acid, 7,8-dimethyl-8-aza-bicyclo[3.2.1]octane-2-carboxylic acid methyl ester, acetic acid 2,6,10,10-tetramethyl-1-oxa-spiro[4.5]dec-6-yl ester, isobutyric acid 6,6-dimethyl-bicyclo[3.1.1]hept-2-en-2ylmethyl ester, 4-hydroxy-3,7-dimethyl-octahydro-chromen-2-one, 4,8-dimethyl-octahydro-chromen-2-one, 2-methyl-butyric acid 6,6-dimethyl-bicyclo[3.1.1]hept-2-en-2-ylmethyl ester, 1-(3,8-dimethyl-1,2,3,4,5,6,7,8-octahydro-azulen-5-yl)-1-methyl-ethyl ester acetic acid, 2-hydroxy-2-(1-methoxy-ethyl)-3-methyl-butyric acid 7-hydroxy-5,6,7,7a-tetrahydro-3H-pyrrolizin-1-ylmethyl ester, carbamic acid ethyl ester, 2-amino-5-guanidino-pentanoic acid, 2-amino-succinamic acid, 2-hydroxy-2-(1-hydroxy-ethyl)-3-methyl-butyric acid 7-hydroxy-5,6,7,7a-tetrahydro-3H-pyrrolizin-1-ylmethyl ester, 4-ethylidene-7-hydroxy-6,7,14-trimethyl-2,9-dioxa-14-aza-bicyclo[9.5.1]heptadec-11-ene-3,8,17-trione, 6-methoxy-3H-benzooxazol-2-one, 2-amino-3-phenyl-propionic acid, phenylalanine, glutamine, mandelonitrile benzoate, 3-Hydroxymethyl-6-methyl-3a,3b,7a,8-tetrahydro-1H-4-oxa-8a-aza-cyclopenta[a]inden-5-one, methyl N-acetylisoleucinate, tryptophan, 2-amino-3-(3,4-dihydroxy-phenyl)-propionic acid, and N-(tert-butyl)-4-methylbenzamide. R3 and R4 are each independently selected from the group consisting of H, D, a halide, and optionally substituted aliphatic groups, or R3 and R4 can be linked together to form an optionally substituted cycloalkyl, cycloalkenyl, cycloalkynyl, aryl, or heterocycle. R3 and R4 are each independently selected from the group consisting of H, OH, SH, and an optionally substituted aliphatic or hetero-aliphatic group having 1 to 4 carbon atoms; or R3 and R4 can be linked together to form an optionally substituted cycloalkyl, cycloalkenyl, cycloalkynyl, aryl, or heterocycle. In one embodiment, the compound of formula (II) is selected from 3-methylcyclopentane-1,2-dione, 3,4-dimethylcyclopentane-1,2-dione, 2-oxopentanoic acid, and 2-oxopropanal. R6 and R7 can be linked together to form an optionally substituted ring selected from the group consisting of cycloalkenyl, aryl, and heterocycle. In some embodiments of formula (III), R5-R7 are each independently selected from the group consisting of H, OH, SH, and an optionally substituted aliphatic or hetero-aliphatic group having 1 to 4 carbon atoms. In other embodiment of formula (III), R5 and R6 can be linked together to form an optionally substituted aliphatic, heteroaliphatic, aromatic or heteroaromatic ring system having 4 to 6 ring carbon atoms. In yet other embodiments of formula (III), R6 and R7 can be linked together to form an optionally substituted aliphatic, heteroaliphatic, aromatic or heteroaromatic ring system having 4 to 6 ring carbon atoms. In one embodiment, the compound of formula (III) is selected from propan-2-yl benzoate, 2-phenylethyl (E)-2-methylbut-2-enoate, 4-ethylbenzaldehyde, (E)-2-methylbut-2-enoic acid, 1-phenylbutan-1-one, (E)-2-methylbut-2-enoic acid, 1-phenylbutan-1-one, 3-methylbut-2-enoic acid, (E)-but-2-enoic acid, 2-methylpropyl-(Z)-but-2-enoate, (E)-pent-2-enal, 3-methylcyclopent-2-en-1-one, methyl 2-methylprop-2-enoate, (2E)-3,7-dimethylocta-2,6-dienoic acid, 1-(1H-pyrrol-2-yl)ethanone, and ethyl (E)-but-2-enoate. In another embodiment, the compound of formula (III) is selected from N,N-diethyl-4-methyl-benzamide, N-butyl-3-fluoro-benzamide, N-(3-methyl-butyl)-benzamide, N-(tert-butyl)-4-methylbenzamide, 2-carbamoyl-benzoic acid anion, 3-hydroxymethyl-6-methyl-3a,3b,7a,8-tetrahydro-1H-4-oxa-8a-aza-cyclopenta[a]inden-5-one, mandelonitrile benzoate, 7,8-dihydro-1-biopterin, N-(2-formyl-phenyl)-formamide, indolo[2,1-b]quinazoline-6,12-dione, 4-ethylidene-7-hydroxy-6,7,14-trimethyl-2,9-dioxa-14-aza-bicyclo[9.5.1]heptadec-11-ene-3,8,17-trione, [hydroxy-(4-hydroxy-quinolin-2-yl)-methylene]-methyl-oxonium, 1-(2,6,6-trimethyl-cyclohex-2-enyl)-hepta-1,6-dien-3-one, 4-(1-hydroxy-4,7-dimethyl-1,4a,5,6,7,7a-hexahydro-cyclopenta[c]pyran-3-yl)-but-3-en-2-one, 2-hydroxymethyl-but-2-enoic acid 7-(2-methyl-but-2-enoyloxy)-5,6,7,7a-tetrahydro-3H-pyrrolizin-1-ylmethyl ester, 4-(2,5,6,6-tetramethyl-cyclohex-2-enyl)-but-3-en-2-one, 3-methyl-4-(2,6,6-trimethyl-cyclohex-2-enyl)-but-3-en-2-one, 2-hydroxy-4,4,6-trimethyl-cyclohexa-2,5-dienone, 1-(3,5,5,6,8,8-hexamethyl-5,6,7,8-tetrahydro-naphthalen-2-yl)-ethanone, 10-isopropylidene-3,7-dimethyl-cyclodeca-3,7-dienone, 3,3,6-trimethyl-hepta-1,5-dien-4-one, and 3,5,5-trimethyl-4-(3-oxo-but-1-enyl)-cyclohex-3-enone. R8, R9 and R10 are each independently selected from the group consisting of H, D, a halides, an optionally substituted aliphatic group; or R8 and R9 can be linked together to form an optionally substituted cycloalkyl, cycloalkenyl, cycloalkynyl, aryl, or heterocycle. R8 and R9 are each independently selected from the group consisting of H, OH, SH, or an optionally substituted aliphatic or hetero-aliphatic group having 1 to 4 carbon atoms; or R8 and R9 can be linked together to form an optionally substituted aliphatic, heteroaliphatic, aromatic or heteroaromatic ring system having 4 to 6 ring carbon atoms. In one embodiment, the compound of formula (IV) is selected from 4-hydroxy-2,3-dimethyl-2H-furan-5-one, 2-hydroxypropanoic acid, and 3-hydroxybutan-2-one. In another embodiment, the compound of formula (IV) is selected from 4-ethylidene-7-hydroxy-6,7,14-trimethyl-2,9-dioxa-14-aza-bicyclo[9.5.1]heptadec-11-ene-3,8,17-trione, 2-hydroxy-2-(1-hydroxy-ethyl)-3-methyl-butyric acid 7-hydroxy-5,6,7,7a-tetrahydro-3H-pyrrolizin-1-ylmethyl ester, and 2-hydroxy-2-(1-methoxy-ethyl)-3-methyl-butyric acid 7-hydroxy-5,6,7,7a-tetrahydro-3H-pyrrolizin-1-ylmethyl ester. R11 and R12 are each independently selected from the group consisting of H, D, a halides, and an optionally substituted aliphatic group; or R11 and R12 can be linked together to form an optionally substituted cycloalkyl, cycloalkenyl, cycloalkynyl, aryl, or heterocycle. R11 and R12 are each independently selected from the group consisting of H, OH, SH, and an optionally substituted aliphatic or hetero-aliphatic group having 1 to 4 carbon atoms; or R11 and R12 can be linked together to form an optionally substituted aliphatic, heteroaliphatic, aromatic or heteroaromatic ring system having 4 to 6 ring carbon atoms. In one embodiment, the compound of formula (V) is selected from ethyl 2-oxopropanoate, methyl 2-oxopropanoate, 4-hydroxy-2,3-dimethyl-2H-furan-5-one, and 3-hydroxybutan-2-one, 2-oxobutanoic acid, 2-oxopentanoic acid, ethyl pyruvate, and methyl pyruvate. R13 and R14 are each independently selected from the group consisting of H, D, a halide, and an optionally substituted aliphatic group; or R13 and R14 can be linked together to form an optionally substituted cycloalkyl, cycloalkenyl, cycloalkynyl, aryl, or heterocycle. R13 and R14 are each independently selected from the group consisting of H, OH, SH, and an optionally substituted aliphatic or hetero-aliphatic residues having 1 to 4 carbon atoms; or R13 and R14 can be linked together to form an optionally substituted aliphatic, heteroaliphatic, aromatic or heteroaromatic ring system having 4 to 6 ring carbon atoms. In one embodiment, the compound of formula (VI) is selected from dimethyl carbonate, 1,3-dimethyl-1H-quinazoline-2,4-dione, 1,3,7-trimethyl-3,7-dihydro-purine-2,6-dione, 5,5-diethyl-pyrimidine-2,4,6-trione, 1,3-dinitro-imidazolidin-2-one, (2,5-dioxo-4-imidazolidinyl) urea, 7,9-dihydro-3H-purine-2,6,8-trione, purine-2,6-dione, 1,3-dimethyl-1H-pyrimidine-2,4-dione, 6-methoxy-3H-benzooxazol-2-one, carbamic acid ethyl ester, 3H-benzothiazol-2-one, 14-nitrooxy-tetradec-5-ene, and 1,2-dihydro-[1,2,4]triazol-3-one. R15 and R16 are each independently selected from the group consisting of H, D, a halides, and an optionally substituted aliphatic group; or R15 and R16 can be linked together to form an optionally substituted cycloalkyl, cycloalkenyl, cycloalkynyl, aryl, or heterocycle. R15 and R16 are each independently selected from the group consisting of H, OH, SH, or an optionally substituted aliphatic or hetero-aliphatic group having 1 to 4 carbon atoms; or R15 and R16 can be linked together form an optionally substituted aliphatic, heteroaliphatic, aromatic or heteroaromatic ring system having 4 to 6 ring carbon atoms. R17, R18, and R19 are each independently selected from the group consisting of H, D, a halides, and an optionally substituted aliphatic group; or R18 and R19 and/or R20 can be linked together to form an optionally substituted cycloalkyl, cycloalkenyl, cycloalkynyl, aryl, or heterocycle. R17, R18, and R19 are each independently selected from the group consisting of H, OH, SH, or an optionally substituted straight or branched, saturated or unsaturated, aliphatic or hetero-aliphatic residues having 1 to 4 carbon atoms; or two of R17, R18, and R19 can be linked together to form an optionally substituted aliphatic, heteroaliphatic, aromatic or heteroaromatic ring system having 4 to 6 ring carbon atoms. wherein any one of R20-R25 and/or R20′-R25′ are absent if by forming a covalent bond to the corresponding X group would result in the X group exceeding the maximum valence for that atom. R22 and R23 can be linked together to form one or more optionally substituted cycloalkyl, cycloalkenyl, cycloalkynyl, aryl, or heterocycle. In certain embodiments of formula (IXa), R20, R22, R23, and R25 are each independently selected from the group consisting of H, OH, SH, and an optionally substituted aliphatic or hetero-aliphatic group having 1 to 4 carbon atoms. In other embodiments of formula (IXa), R20 and R25 can be taken together form an optionally substituted aliphatic, heteroaliphatic, aromatic or heteroaromatic ring system having 4 to 6 ring carbon atoms. In yet other embodiments of formula (IXa), R22 and R23 can be taken together form an optionally substituted aliphatic, heteroaliphatic, aromatic or heteroaromatic ring system having 4 to 6 ring carbon atoms. R20 and R22-R25 are each independently selected from the group consisting of H, D, a halides, and an optionally substituted aliphatic group; or two or more of R20 and R22-R25 can be linked together to form one or more optionally substituted cycloalkyl, cycloalkenyl, cycloalkynyl, aryl, or heterocycle. In certain embodiments of formula (IXb), R20 and R22-R25 are each independently selected from the group consisting of H, OH, SH, and an optionally substituted aliphatic or heteroaliphatic groups having 1 to 4 carbon atoms. In other embodiments of formula (IXb), two or more of R20 and R22-R25 can be linked together to form an optionally substituted aliphatic or heteroaliphatic, aromatic or heteroaromatic ring system having 4 to 6 ring carbon atoms. R20 and R22-R25 are each independently selected from the group consisting of H, D, a halide, and an optionally substituted aliphatic group; or two or more of R20 and R22-R25 can be linked together to form one or more optionally substituted cycloalkyl, cycloalkenyl, cycloalkynyl, aryl, or heterocycle. In certain embodiments of formula (IXc), R20 and R22-R25 are each independently selected from the group consisting of H, OH, SH, and an optionally substituted aliphatic or heteroaliphatic group having 1 to 4 carbon atoms. In other embodiments of formula (IXc), two or more of R20 and R22-R25 can be linked together to form an optionally substituted aliphatic, heteroaliphatic, aromatic or heteroaromatic ring system having 4 to 6 ring carbon atoms. 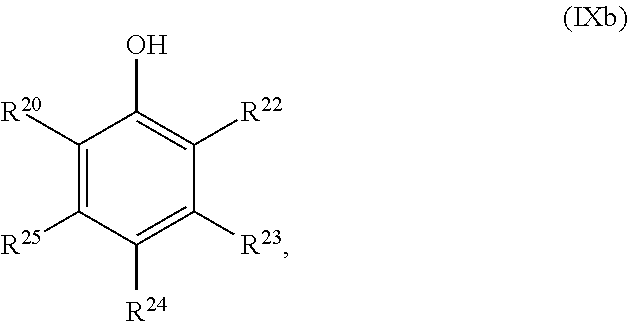 R21 is selected from the group consisting of H, D, a halides, an optionally substituted aliphatic group. wherein any one of R26-R30 and/or R26′-R30′ are absent if by forming a covalent bond to the corresponding X group would result in the X group exceeding the maximum valence for that atom. R27 and R29-R30 are each independently selected from the group consisting of H, D, a halides, or an optionally substituted aliphatic group; or R29-R30 can be linked together to form one or more optionally substituted cycloalkyl, cycloalkenyl, cycloalkynyl, aryl, or heterocycle. In one embodiment of formula (Xa), R27 and R29-R30 are each independently selected from the group consisting of H, OH, SH, and an optionally substituted aliphatic or heteroaliphatic residues having 1 to 4 carbon atoms. In another embodiment of formula (Xa), two of R29-R30 can be linked together to form an optionally substituted aliphatic, heteroaliphatic, aromatic or heteroaromatic ring system having 4 to 6 ring carbon atoms. R26, and R28-R30 are each independently selected from the group consisting of H, D, a halides, and an optionally substituted aliphatic group; or two or more of R26, and R28-R30 can be linked together to form one or more optionally substituted cycloalkyl, cycloalkenyl, cycloalkynyl, aryl, or heterocycle. In one embodiment of formula (Xb), R26 and R28-R30 are each independently selected from the group consisting of H, OH, SH, and an optionally substituted aliphatic or heteroaliphatic groups having 1 to 4 carbon atoms. In another embodiment of formula (Xb), two or more of R26 and R28-R30 can be linked together to form an optionally substituted aliphatic, heteroaliphatic, aromatic or heteroaromatic ring system having 4 to 6 carbon atoms. R26, and R28-R30 are each independently selected from the group consisting of H, D, a halide, and an optionally substituted aliphatic group; or two or more of R26 and R28-R30 can be linked together to form one or more optionally substituted cycloalkyl, cycloalkenyl, cycloalkynyl, aryl, or heterocycle. 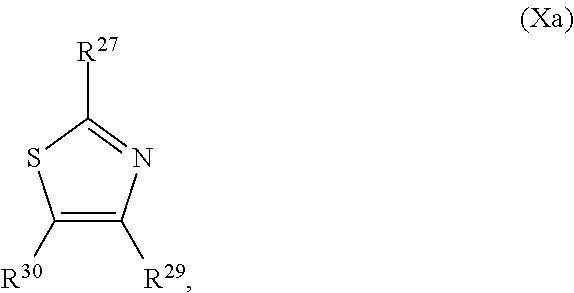 In some embodiments of formula (Xc), R26, and R28-R30 are each independently selected from the group consisting of a halide, or an optionally substituted aliphatic group. In other embodiments of formula (Xc), R26, and R28-R30 are each other than H.
In one embodiment of formula (Xc), R26 and R28-R30 are each independently selected from the group consisting of H, OH, SH, and an optionally substituted aliphatic or heteroaliphatic group having 1 to 4 carbon atoms. In another embodiment of formula (Xc), two or more of R26 and R28-R30 can be linked together to form an optionally substituted aliphatic, heteroaliphatic, aromatic or heteroaromatic ring system having 4 to 6 ring carbon atoms. wherein any one of R31-R34 and/or R31′-R34′ are absent if by forming a covalent bond to the corresponding X group would result in the X group exceeding the maximum valence for that atom. R31-R34 are each independently selected the group consisting of H, D, a halides, and an optionally substituted aliphatic group; and/or two or more of R31-R34 can be linked together to form one or more optionally substituted cycloalkyl, cycloalkenyl, cycloalkynyl, aryl, or heterocycle. In one embodiment of formula (XIa), R31-R34 are each independently selected from the group consisting of H, OH, SH, and an optionally substituted aliphatic or heteroaliphatic group having 1 to 4 carbon atoms. In another embodiment of formula (XIa), two or more of R33-R36 can be linked together to form an optionally substituted aliphatic or heteroaliphatic, aromatic, heteroaromatic ring system having 4 to 6 ring carbon atoms. In some embodiments, W is —NRcRd. In some embodiments, x is 0 to 8. In certain embodiments, the compound of formula (XII) is other than hexan-1-amine. In some embodiments, Am is an alkyl. In some embodiments, each An is an alkyl. In certain embodiments, Am is a (C1-C5) alkyl. In certain embodiments, each An is a (C1-C5) alkyl. each An and Am is independently alkyl. wherein each n, m and p (if present) in independent an integer greater than or equal to 1. In certain embodiments of formula (XIIA) or (XIIB), n is 1 to 10, or 1 to 8, or 1 to 5. In one embodiment, n is 1, 2, 3, or 4. In certain embodiments of formula (XIIA) or (XIIB), m is 1 to 10, or 1 to 8, or 1 to 5. In one embodiment, m is 1, 2, 3, or 4. In certain embodiments of formula (XIIB), p is 1 to 10, or 1 to 8, or 1 to 5. In one embodiment, p is 1, 2, 3, or 4. Provided herein are also compositions comprising one or more compounds of formula (I)-(XII). In some embodiments, the composition includes two or more compounds of formula (Ia), (III) and (Va), or any combination thereof. In yet other embodiments, the composition includes two or more compounds of formula (Xb) and (XIa), or any combination thereof. In yet other embodiments, the compound identified according to the methods and systems described herein are selected from Table A below. Provided are also compositions including one or more, two or more, or three or more compounds selected from Table A below. The compositions may further include thickeners, buffering agents, chelating agents, preservatives, fragrances, moisturizers, antioxidants, gelling agents, stabilizers, surfactants, emollients, carriers, coloring agents, aloe vera, waxes, lanolins, other penetration enhancers and mixtures thereof, therapeutically or cosmetically active agents, insecticidals, or any combination thereof. In certain embodiments, the composition may be formulated for the topical administration of the composition to the skin of a subject (e.g., a human). The compositions described herein may be solid-based, liquid-based, gas-based, or a mixture thereof. Liquid-based formulations may be aqueous-based or non-aqueous-based (e.g., organic solvents), or combinations thereof, and may be employed as lotions, ointments, foams, gels, suspensions, emulsions, microemulsions or emulsifiable concentrates or the like. The compositions may also be formulated to be slowly released from a patch or canister. The compositions described herein may further include one or more carrier formulation agents, including commercially-available organic and inorganic liquid carriers, solid carriers, or semi-solid carriers or carrier formulations. Examples of organic liquid carriers include liquid aliphatic hydrocarbons (e.g., pentane, hexane, heptane, nonane, decane and their analogs) and liquid aromatic hydrocarbons. Examples of other liquid hydrocarbons include oils produced by the distillation of coal and the distillation of various types and grades of petrochemical stocks, including kerosene oils that are obtained by fractional distillation of petroleum. Other petroleum oils include those generally referred to as agricultural spray oils (e.g., light and medium spray oils that include middle fractions in the distillation of petroleum and which are only slightly volatile). Such oils are usually highly refined and may contain only minute amounts of unsaturated compounds. Such oils, moreover, are generally paraffin oils and accordingly can be emulsified with water and an emulsifier, diluted to lower concentrations, and used as sprays. Tall oils, obtained from sulfate digestion of wood pulp, like the paraffin oils, can similarly be used. Other organic liquid carriers may include, for example, liquid terpene hydrocarbons and terpene alcohols such as alpha-pinene, dipentene, and terpineol. Other suitable carriers may include, for example, aliphatic and aromatic alcohols, esters, aldehydes, ketones, mineral oil, higher alcohols, finely divided organic and inorganic solid materials. In addition to the above-mentioned liquid hydrocarbons, the carrier may include, for example, conventional emulsifying agents, which can be used for facilitating the dispersal of the formulation or composition to the environment, and/or to the surface of a subject or an object. Aliphatic monohydric alcohols may include, for example, methyl, ethyl, normal-propyl, isopropyl, normal-butyl, sec-butyl, and tert-butyl alcohols. Suitable alcohols may include, for example, glycols (e.g., ethylene and propylene glycol) and pinacols. Suitable polyhydroxy alcohols may include, for example, glycerol, arabitol, erythritol, and sorbitol. Suitable cyclic alcohols may include, for example, cyclopentyl and cyclohexyl alcohols. Solid carriers that can be used in the compositions described herein may include, for example, finely divided organic and inorganic solid materials. Suitable finely divided solid inorganic carriers may include, for example, siliceous minerals such as synthetic and natural clay, bentonite, attapulgite, fuller's earth, diatomaceous earth, kaolin, mica, talc, finely divided quartz, as well as synthetically prepared siliceous materials, such as silica aerogels and precipitated and fume silicas. Examples of finely divided solid organic materials may include cellulose, sawdust, and synthetic organic polymers. Examples of semi-solid or colloidal carriers may include waxy solids, gels (e.g., petroleum jelly), and lanolin, and mixtures of liquid and solid substances. Additionally, the compositions or formulations described herein may include any conventional “stabilizer” formulation agents known in the art, including, for example, tert-butyl sulfinyl dimethyl dithiocarbonate. The compositions described herein may include adjuvant formulation agents used in personal care product formulations, such as thickeners, buffering agents, chelating agents, preservatives, fragrances, antioxidants, gelling agents, stabilizers, surfactants, emollients, coloring agents, aloe vera, waxes, lanolins, other penetration enhancers and mixtures thereof, and therapeutically or cosmetically active agents. Therapeutically or cosmetically active formulation agents useful for the compositions or formulations disclosed herein may include, for example, fungicides, sunscreening agents, sunblocking agents, vitamins, tanning agents, plant extracts, anti-inflammatory agents, anti-oxidants, radical scavenging agents, retinoids, alpha-hydroxy acids, emollients, antiseptics, antibiotics, antibacterial agents, and antihistamines. In some embodiments, the compositions described herein may further include one or more insect repellent formulation agents known in the art including, for example benzil, benzyl benzoate, 2,3,4,5-bis(butyl-2-ene) tetrahydrofurfural, butoxypolypropylene glycol, N-butylacetanilide, normal-butyl-6,6-dimethyl-5,6-dihydro-1,4-pyrone-2-carboxylate, dibutyl adipate, dibutyl phthalate, di-normal-butyl succinate, N,N-diethyl-meta-toluamide, dimethyl carbate, dimethyl phthalate, 2-ethyl-2-butyl-1,3-propanediol, 2-ethyl-1,3-hexanediol, di-normal-propyl isocinchomeronate, 2-phenylcyclohexanol, p-methane-3,8-diol, and normal-propyl N,N-diethylsuccinamate. The compositions described herein may include other known compatible active formulation agents including, for example, insecticides, acaricides, rodenticides, fungicides, bactericides, nematocides, herbicides, fertilizers, and growth-regulating agents. In some embodiments, the agents may be in the form of particular dosage preparations for specific application made therefrom, such as solutions, emulsions, suspensions, powders, pastes, and granules as described herein or as otherwise known in the art which are thus ready for use. The compounds or compositions described herein may be administered in combination with other insect control agents. For example, the compositions may employ various chemicals that affect insect behavior, such as insecticides, attractants and/or repellents, or as otherwise known in the art. The compounds identified by the methods and systems herein may also be administered with chemosterilants. The amount of the compounds in the compositions described herein may vary depending on the application. For example, in some embodiments, the compositions described herein has at least about 0.0001% by weight of one or more of the compounds identified by the methods or systems described herein, or about 0.0001% to about 99% by weight of one or more of the compounds identified by the methods or systems described herein, or about 0.001% to about 90% by weight of one or more of the compounds identified by the methods or systems described herein, or about 0.01% to about 80% by weight of one or more of the compounds identified by the methods or systems described herein, or about 0.1% to about 70% by weight by weight of one or more of the compounds identified by the methods or systems described herein, or about 1% to about 50% by weight of one or more of the compounds identified by the methods or systems described herein. It should be understood that the compositions described herein contain sufficient amounts of the one or more of the compounds identified by the methods or systems described herein so as to modulate arthropod olfactory receptors and influence or control an arthropod's (e.g., insect's) behavior. In one embodiment, the one or more of the compounds identified by the methods or systems described herein are incorporated in effective amounts into a composition suitable for applying to the surface of an object or subject, such as to a subject's (e.g., a human's) skin. Suitable compositions for topical applications include a vehicle, such as an alcohol based solvent, a lotion such as numerous skin creams known in the art, a silicaceous clay, or a combination thereof. One of skill in the art would recognize that, for such topical applications to be effective, the evaporation rate of the compounds from the surface of the object or subject must be sufficiently high enough to provide a vapor density which has the desired effect on the target arthropods. However, a balance must be struck between the evaporation rate and the duration of the desired effect—too high of an evaporation rate will lower the effectiveness of the arthropod olfactory receptor modulating compounds for longer time points. Numerous extrinsic factors affect the evaporation rate, such as the ambient temperature, the temperature of the treated surface, and the presence or absence of air movement. Thus, it should be understood that the compositions described herein have a surface evaporation rate of at least a minimum effective evaporation rate. In certain embodiments, the composition has a surface evaporation rate of at least a minimum effective evaporation rate for at least 1, 2, 3, 4, 5, 6, 7, 8, 10, or 12 hours. It should further be understood that, when formulating the compounds described herein for specific topical applications to a subject's (e.g., a human's) skin, the compounds described herein are generally mixed in a dermatologically acceptable carrier, such pharmaceutically acceptable creams, polymers, lotions, gels, and/or liquids. The pharmaceutically acceptable carriers may further provide water repellency, prevent skin irritation, and/or soothe and condition skin. Factors to consider when selecting a carrier(s) for any formulation with one or more compounds of the disclosure include solubility, commercial availability, cost, evaporation rate, olfactory, stability, and whether the carrier itself exerts a biological effect on arthropod olfactory receptors. One of skill would also recognize that the application of the compositions and compounds of the disclosure do not only include human subjects, but include canines, equines, bovines and other animals subject to exoparasitic sanguinivorous feeding arthropods. Further, it should be understood that, while the compounds identified by the methods and systems described herein and compositions thereof are effective at affecting arthropod olfactory receptor activity and thus arthropod behavior, under typical conditions of use, it may under some circumstances be desirable to reduce the rate of evaporation thereof. A variety of strategies may be employed to reduce the evaporation rate of the compounds disclosed herein, if so desired. For example, one method is to combine the compounds disclosed herein with a polymer or other inert ingredient, forcing the compounds disclosed herein to migrate through the mixture to the surface before it can evaporate. Alternatively, the compounds described herein may be micro-encapsulated to control rates of evaporation from the surface of a subject or object. In still another alternative, a precursor molecule may be prepared, which slowly disintegrates on the surface of the subject or object thereby slowing the evaporation rate of one or more arthropod olfactory receptor modulating compounds disclosed herein to the environment. For example, release of one or more arthropod olfactory receptor modulating compounds of the disclosure may be, for example, by sub-micron encapsulation, in which one or more compounds disclosed herein is encapsulated (surrounded) within a skin nourishing protein or a liposome. The protein or liposome may be used at, for example, a defined concentration. Examples of one or more encapsulated compounds disclosed herein may include water-based lotions, oil-based lotions, gels, or water for spray application. After coming in contact with a subject's (e.g., human's) skin the protein or liposomes would begin to breakdown, thereby releasing the encapsulated arthropod olfactory receptor modulating compounds. The process would continue as each microscopic capsule is depleted then replaced in succession by a new capsule that contacts the skin and releases its encapsulated arthropod olfactory receptor modulating compound. Generally, the process may take up to 24 hours for one application. Because a protein's and liposome's adherence to the skin is so effective, these formulas are very resistant to perspiration (sweat-off), and water. Alternatively, one or more arthropod olfactory receptor modulating compounds disclosed herein may be encapsulated in polymers. Use of such polymers, would allow for applications to slowly release one or more arthropod olfactory receptor modulating compounds to the environment from the surface of a subject and also from the surface of an object. Suitable polymers include, for example, high density polyethylene, low density polyethylene, biodegradable thermoplastic polyurethanes, biodegradable ethylene polymers, and poly(epsilon caprolactone) homopolymers and compositions containing the same, as disclosed for example in U.S. Pat. No. 4,496,467, U.S. Pat. No. 4,469,613 and U.S. Pat. No. 4,548,764. Specific examples of biodegradable polymers include DuPont Biomax® biodegradable polyester and poly-L-lactide. The compounds identified by the methods and systems described herein and compositions thereof may also be applied to or impregnated onto the surfaces of an object. Examples of such applications include applying or impregnating the compounds to clothing, netting, fabrics, bedding, screens, camping gear, leather, felt, and a sheet-like objects such as paper. Further, when applied to subjects such as pets, the compounds of the may be applied or impregnated onto resin collars. The compounds identified by the methods and systems described herein may also be formulated to generate solutions, suspensions, creams, ointments, gels, films or sprays, depending on the desired method of use. The formulation agents may be aerosol-based carriers adapted to disperse the arthropod olfactory receptor modulating compounds of the disclosure into the atmosphere by means of propellants. Examples propellants include, for example, liquefied petroleum gas (hereinafter referred to as “LPG”) and dimethyl ether (hereinafter referred to as “DME”). One of skill in the art would recognize the desirable properties for a topical applications, including for example low toxicity, resistance to loss by water immersion or sweating, low or no olfactory or at least a pleasant odor, ease of application, and rapid formation of a dry tack-free surface film on the subject's (e.g. humans') skin. In some embodiments, the compounds identified by the methods and systems described herein may be used in products suitable for human use, including, for example, colognes, lotions, sprays, creams, gels, ointments, bath and shower gels, foam products (e.g., shaving foams), makeup, deodorants, shampoo, hair lacquers/hair rinses, and personal soap compositions (e.g., hand soaps and bath/shower soaps). In other embodiments, the compounds identified by the methods and systems described herein may be emitted from vaporizers, treated mats, cylinders, oils, candles, wicked apparatus, and fans. For example, the compounds may be used to form vapors in barns, houses, or patios to repel insect pest and/or mask a subject from an arthropod pest. Certain compounds identified herein may antagonize, agonize, and/or superagonize arthropod olfactory and/or taste receptors so as to control or influence arthropod behavior, and/or to mask the olfactory cues of a subject or an object. Other compounds identified herein as an arthropod repellent may be used as arthropod repellents or attractants, as masking agents for a subject or an object olfactory cues; and/or to control and influence insect behavior, such as triggering avoidance behavior, feeding behavior, mate seeking behavior, and/or indifference to olfactory cues from a subject or an object. The compounds and compositions described herein may be used for inhibiting, preventing or reducing the incidence of arthropod-bome disease in a subject, by superagonizing and/or antagonizing one or more olfactory receptors of an arthropod. In some embodiments, the receptor activity is modulated so that the arthropod has limited to no attraction to the olfactory cues emanating from a subject, thereby inhibiting, preventing or reducing the incidence of arthropod-borne disease in a subject. In other embodiments, the arthropod-borne disease is selected from malaria, dengue, yellow fever, river blindness, lymphatic filariasis, sleeping sickness, leishmaniasis, epidemic polyarthritis, West Nile virus disease Lyme disease, Rocky Mountain Fever, and Australian encephalitis, or any combination thereof. Provided herein are also the one or more compounds identified according to any of the methods and systems described herein that may be used as a repellent against at least one arthropod species. In some embodiments, one or more of the compounds of formulae (Ia), (Va), (III), and (XII), as described above, or any combinations thereof can be used as arthropod repellents. In certain embodiments, two or more of the compounds of formulae (Ia), (Va), and (III), or any combination thereof, are arthropod repellents. Provided herein are also compositions including two or more compounds selected from compounds of formulae (IA), (VA), and (III), or any combination thereof, for use as an arthropod repellent. ii) one or more compounds of formulae (Va) and (III), or any combination thereof. ii) one or more compounds selected from compounds of formulae (Ia), (Va) and (III), or any combination thereof. In other embodiments, one or more of the compounds of formula (XII) are arthropod repellents. Provided herein are also compositions including one or more compounds of formula (XII) for use as an arthropod repellent. Any combinations of the repellents disclosed herein may be used together in a blend. For example, a blend of compounds selected from compounds of formulae (Ia), (Va), (III), and (XII), or any combination thereof, may be used. It should be understood that the blend may include a compound from each formula, or multiple compounds for a formula, or any combination thereof (e.g., a compound from one formula and multiple compounds from another formula). For example, the blend may include two compounds of formula (Ia) and a compound of formula (XII). In other examples, the blend may include one compound of formula (Ia), one compound of formula (Va), and one compound of formula (XII). In certain embodiments, the repellent blend may include two or more compounds, three or more compounds, or four or more compounds. In one embodiment, the repellent blend may include, two, three or four compounds of formulae (Ia), (Va), (III), and (XII), or any combination thereof. In other embodiments, the repellent compositions includes a combination of pyruvate inhibitors and superactivators. In one embodiment, the repellent composition includes: i) one or more pyruvate inhibitors selected from the compounds of Table A, Group II; and ii) one or more superactivators selected from the compound of Table A, Group III. In yet other embodiments, the repellent composition includes propanal, thiophene-2-thiol, or a combination thereof. The arthropod repellents identified according to the methods or systems described herein may be formulated into a repellent for topical application, such as in the form of a lotion, cream, spray or dust. In some embodiments, the repellent may be included in, for example, a vaporizer, a treated mat, treated outerwear, an oil, a candle, or a wicked apparatus. Provided herein are also the one or more compounds identified according to any of the methods or systems described herein that may be used as an attractant against at least one arthropod species. In some embodiments, one or more of the compounds of formulae (Ia), (Xb), (Xc), and (XIa), as described above, or any combination thereof, can be used as arthropod attractants. Provided herein are also compositions including one or more of the compounds of formulae (Ia), (Xb), (Xc), and (XIa), or any combination thereof, for use as a arthropod attractant. In certain embodiments, the attractant composition includes two or more compounds of formula (Ia), (Xb) and (XIa), or any combination thereof. In another embodiment, the attractant composition includes two or more compounds of formula (Xb) and (XIa), or any combination thereof. In certain embodiments, the attractant composition includes a cycloalkanone, and optionally one or more compounds selected from compounds of formulae (Ia), (Xb), (Xc), and (XIa), or any combination thereof. In some embodiments, the cycloalkanone is a C4 to C6 cycloalkanone. In one embodiment, the cycloalkanone is cyclopentanone. In one embodiment, the attractant composition includes cyclopentanone and ethyl acetate. In other embodiments, the attractant compositions includes two or more, three or more, or four or more compounds selected from Table A, Group I. In certain embodiments, the composition includes two, three, or four compounds selected from Table A, Group I. In yet other embodiments, the attractant composition includes one or more, two or more, three or more, or four or more compounds selected from 2-methylpropan-1-ol, 2-methyloxolane, 3-methylbut-3-en-1-ol, butan-2-ol, propan-2-yl formate, propan-1-ol, methyl formate, cyclopentanol, and cyclopentane. In certain embodiments, the attractant composition includes one or more, two or more, three or more, or four or more compounds selected from 2-methyloxolane, propan-2-yl formate, methyl formate, cyclopentanol, and cyclopentane. The arthropod attractants identified according to the methods or systems described herein may be used to lure an arthropod into a trap. For example, the trap may be suction-based, light-based, electric current-based. The following examples are merely illustrative and are not meant to limit any embodiments of the present disclosure in any way. This Example demonstrates that volatiles from human skin may directly activate cpA. In particular, human foot odor collected directly onto glass beads is sufficient to activate the cpA neuron in A. aegypti. Adult female A. aegypti (Linnaeus 1762) (Rockefeller strain) A. gambiae sensu stricto Giles 1902 (G3 strain), or C. quinquefasciatus Say 1823 were tested 3-12 days post-emergence with single-sensillum extracellular recordings. Chemicals were obtained from Sigma-Aldrich at the highest purity (typically >99%) and were dissolved in paraffin oil or water. Human odor was collected on glass beads worn in socks for ˜6 hrs and 20 ml beads were placed inside a 25 ml disposable pipette through which a puff of air was delivered, switching from a comparable cartridge containing clean beads (FIG. 7a ). Response to clean beads was subtracted from the results reported. Only sensilla with cpA activity of <20 spikes s−1 to negative control were considered for analysis. CpA-off and sham treated mosquitoes were pre-treated for 3 min in an upended 1 L glass dish in which 100 μl of fresh butyryl chloride (1%) or paraffin oil was allowed to vaporize for 10-20 min. The odor delivery system for different screens is shown in FIG. 7b ; solvent responses during the same recording session were subtracted. Inhibition screen was tested. For the ultra-prolonged activator the 3-s stimulus was delivered from a 10 ml disposable pipette using a CS-55 stimulus controller (Syntech), CO2 was delivered, and responses to subsequent odor stimuli were calculated by subtracting baseline activity 1 s prior to each stimulus. When responses to repeated pulses of cyclopentanone and CO2 were compared, baseline activity between seconds 5 and 6 following each stimulus was subtracted. Spike counting was done manually or with Igor Pro6.2 (Wavemetrics) with the Neuromatic v2.00 macro (by Jason Rothman), and peak-to-peak spike amplitudes for FIG. 8 were analysed in Clampfit 10.3 (Molecular Devices). A panel of odorants selected from the hundreds of compounds that were detected in human skin, sweat, or associated microbial odors for structural similarity to known ligands of cpA (Table 1 below). The panel of odorants were tested for activity with single-sensillum electrophysiology. 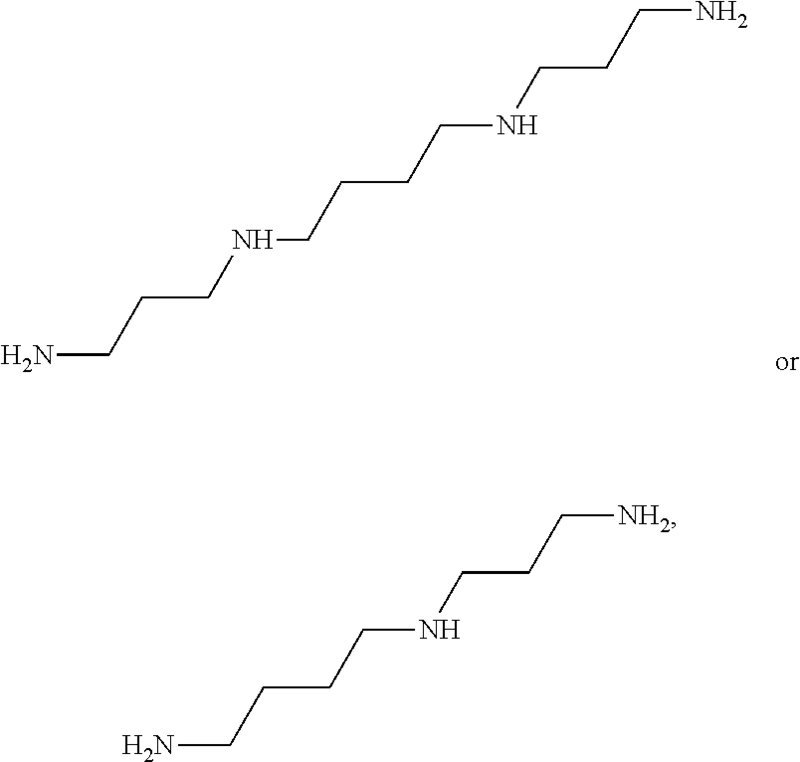 Over 35% of these odorants activated the neuron strongly (>30 spikes s−) in A. aegypti (FIG. 1c ). The neuron's responses to these skin-derived odorants were observed to be comparable to its response to CO2 (FIG. 1d , FIG. 9a ) and are dose-dependent (FIG. 1e ). Although the anthropophilic A. aegypti and A. gambiae belong to divergent mosquito subfamilies separated by 145-200 million years of evolution, their CO2 receptor genes are highly conserved. Based on the data in this Example, the responses of the cpA neuron to this panel of odorants were found to be similar between these two species (FIG. 1c ), suggesting a conserved role in detecting host odor. This Example demonstrates the involvement of cpA activation by human odor for attraction, using a novel chemical-based strategy to shut down the activity of the CO2 receptor in A. aegypti. Standard whole-antenna recordings were performed with minor modifications. Traces were averaged using Clampfit software (Molecular Devices), and responses were normalized to interspersed pulses of a reference odorant, 3-methyl-1-butanol, according to the formula: Raw response (mV)/(ax+by), where a and b are the responses (mV) to the immediately previous and subsequent reference odor stimulation, respectively, and x and y are the proportion of time elapsed between stimuli (so that x+y=1). Response to reference odorant did not significantly differ across treatment groups. Room air (27° C.; 35-40% relative humidity was carbon filtered and drawn through a glass wind tunnel (36 cm×40 cm×128 cm) in a laminar flow at a constant rate of 0.2 m s−1. Beads were elevated 7 cm above the floor of the wind tunnel in a covered 10 cm-diameter petri dish, 50 cm upwind from the release cage (FIG. 2h ). Female A. aegypti were held in individual release cages without access to food or water for 17-23 hr at ˜27° C. and ˜70% relative humidity and pre-exposed to fresh butyryl chloride (1%) or solvent as above. The mosquito rested in the release cage for at least 60 s, following which covers over the beads and the release cage exit were removed to start the assay, video-recorded for 5 min. Landing was defined as alighting or walking onto the bead surface. Trials were conducted between 1400 and 1830 h. Days with poor response in positive control were not considered. Ten 6-day-old female A. aegypti were starved 30 hrs in a 7 cm diameter×˜5 cm high cage with wire mesh on one side and placed inside an aquarium. After 5 min a beaker with 750 ml warm water (40° C.) and filter paper soaked with 400 μl water were placed 5 mm above the cage (FIG. 9e ). CpA-off and sham treated mosquitoes were video-recorded and counted at 30 s intervals. Butyryl chloride is a reactive volatile compound and is structurally related to two of the strongest known inhibitors of the CO2 receptor, butyraldehyde and butanoic acid (FIG. 2a ). A single puff of 1% butyryl chloride inhibits cpA from firing in response to subsequent CO2 stimuli. Based on dose-response and time-response experiments, a 3-min exposure to a small quantity (10001, 10−2) of butyryl chloride volatiles in an upended glass dish was determined to completely abolished cpA's subsequent responses to 1% CO2 (FIGS. 2b and 2c ) or exhaled breath (not shown) when tested in a period ˜5-20 min after exposure. The neuron's responses to activating skin odorants were also substantially reduced after this pre-exposure (FIGS. 2 b and 2 c). The inhibition of cpA was observed to be long-lasting and recovered to control levels between 12-24 hours after treatment (FIG. 9b ). The observed effect is specific to the cpA neuron of the palp. Odor-evoked responses of the other two neurons in the same sensillum (cpB and cpC), which express members of the Or gene family, were not reduced after the treatment (FIG. 2d ). In fact, these neurons showed a slight increase in activity. The summed response of antennal neurons to foot odor, with or without butyryl chloride treatment, was not statistically different in electroantennogram (EAG) recordings (FIGS. 2e and 2f ). Likewise, the summed responses of antennal neurons to a panel of skin odorants, including those that have been previously implicated in host-seeking behaviour, was also unaffected by butyryl chloride treatment (FIG. 9c and FIG. 9d ). Moreover, the response of cpA to foot odor collected on beads was also completely lost when tested ˜5-20 min after exposure (FIG. 2g ). The ability to specifically shut down cpA responses provides a system to test whether the neuron is involved in attraction towards human skin odor. A. aegypti females were observed to initiate upwind flight, navigate upwind, and land on a dish of foot-odor beads presented in a wind tunnel even in the absence of a CO2 plume (FIGS. 2h-2k ). The proportion of mosquitoes that landed on the human odor beads was substantially reduced after pre-exposure to butyryl chloride (FIG. 2i ). Analysis of flight videos indicated that the proportion of cpA-off mosquitoes that initiated upwind flight from the release cage was greatly reduced and indistinguishable from the proportion of control mosquitoes that initiated upwind flight in the absence of any human odor (FIG. 2j ). Most sham-treated control mosquitoes took off relatively quickly towards foot odor, but the cpA-off mosquitoes that did take off did so throughout the five-minute period of the assay (FIG. 10). CpA-off mosquitoes that did take off from the release cage showed no deficit in ability to fly (FIG. 10). Of these, less than half successfully navigated to or landed on the beads; the behaviour of others resembled that of no-odor controls (FIG. 2k , FIG. 10). Residual landing behaviour observed in treated mosquitoes may be mediated by short-range cues that are detected by other olfactory neurons or due to incomplete shutdown of the cpA neuron in tested individuals. In a separate control assay, pre-exposure to butyryl chloride did not impair mosquitoes' ability or preference for resting at the top of a small cage, or the increase in this preference when a warm, moist stimulus was introduced above the cage (FIG. 9e and FIG. 9f ), which suggests that general physical or behavioural deficits are unlikely. Taken together, these results show that the highly conserved CO2 receptor-containing neuron detects human skin odorants and mediates attraction towards skin odor. In this Example, ligands that have stronger effects on cpA activity are identified using an in silico screen. Such ligands are pleasant smelling, safe, and affordable. Using cheminformatics, structural features shared amongst known ligands (inhibitors and activators) of the CO2-sensitive neuron were identified and a structure comparison approach was used to identify new ligands from an extremely large chemical space (>440,000, including 3,197 volatiles from natural sources) (FIG. 3a ). Existing data on odor-evoked activity for the cpA neuron that expresses the conserved CO2 receptor from A. aegypti, A. gambiae, and Culex quinquefasciatus as well as Drosophila melanogaster was compiled to generate training sets for cheminformatic analysis. Known ligands fell into multiple structural classes, suggesting the possibility of distinct binding pockets on the receptor. In order to improve chances of identifying structural features for these potentially distinct binding sites, active compounds were separated into three training sets: aromatic/cyclic ligands, straight-chain ligands, and ligands from both sets together. A single energy-minimized 3D structure was obtained for each odor in the training set and the values for 3,224 molecular descriptors from Dragon (Talete) were calculated. A small subset of molecular descriptors whose values were highly correlated with electrophysiological activity was selected through application of a Sequential Forward Selection method. This process was applied independently for each of the training sets, resulting in three separate activity-optimized molecular descriptor sets (Tables 2a, 2b and 2c below). 3D and 2D molecular descriptors were preferentially selected, suggesting that shape-related features were important for interaction with the receptor. The library of >440,000 chemicals by their computationally determined similarity to known ligands using the three optimized descriptor sets and generated three lists of predicted ligands that cumulatively represent numerous potential ligands for the CO2 receptor-expressing cpA neuron. From the large list of cpA receptor ligands predicted from Example 3 above, 138 compounds were selected based on desirable criteria for application such as smell, presence in natural sources, human safety profile, and cost to procure. These compounds were tested individually using single-sensillum electrophysiology on the cp sensillum of female A. aegypti, according to the procedure described in Example 1 above. Approximately 30% of the tested odors activated the cpA neuron with >30 spikes s−1 (FIG. 3b ). To our satisfaction, ˜85% of these activators are already approved for use as flavor, fragrance, or cosmetic agents and many have been listed in “generally recognized as safe” (GRAS) list by the Flavor and Extract Manufacturer's Association (Table 3 below). Several of these were also pleasant-smelling to humans. Odorants in this initial electrophysiology screen were presented in a manner so that cpA's background firing rate was raised during stimulation by ˜50 spikes s−1, thus also revealing a number of potential inhibitors (FIG. 3b ). Along with the 15 odors that reduced the background firing rate, all odorants that did not activate cpA with >40 spikes s−1 were retested in an additional electrophysiology screen for ability to inhibit response to an overlaid 0.15% CO2 stimulus (FIG. 3c ). Several compounds inhibited cpA to some degree; ethyl pyruvate strongly inhibited cpA activity (FIG. 3c and Table 3 above). A structurally related odorant, methyl pyruvate, also strongly inhibited cpA even at low concentrations (FIG. 3c , Table 3 above, FIG. 11a ). Comparable inhibition was observed at ˜10 times lower concentrations than for previously reported inhibitors such as 1-hexanol. Additionally, longer-term recordings with newly-discovered activators revealed that a 3-s exposure to (E)-2-methylbut-2-enal results in sustained firing of cpA at ˜45 spikes s−1 for at least 5.5 min (FIG. 3d,e ). Responses to 1-s pulses of 0.15% CO2 during this period are significantly reduced relative to controls (FIG. 3f ), suggesting that this odor, which smells better (green fruit) than butanedione (rancid butter), may also disrupt navigation towards a CO2 source. This Example demonstrates that an inhibitory odorant may block attraction of mosquitoes to skin. Forty 4-10-day-old female A. aegypti were starved 24 hrs and released in a 30×30 cm cage with a glass top, and trials commenced between 1400 and 1700 hrs. A human hand wearing a nitrile glove (Sol-vex) with a 7×6 cm window covered by two layers of fine polyester mesh (BioQuip, mesh size 26×22 holes per in2) held in place by magnetic spacers, was inserted into the cage. The lower mesh was 1.5 mm above, and upper mesh was 6 mm above the hand. While skin emanations passed freely through the mesh window, the hand was protected from contact with mosquitoes and treated mesh. The outside mesh was treated with ethyl pyruvate (500 μl, 10% in acetone) or solvent. After letting solvent evaporate the glove was assembled. Experimenter inserted a hand in a control glove into the cage for 5 min, then the same hand was placed inside a test glove and reinserted into the same cage for an additional 5 min. Trials were video recorded and mosquitoes on the mesh were counted every 15 s.
The cpA inhibitor ethyl pyruvate was selected for testing since it is listed as a GRAS compound, is approved as a flavor agent in food, and has a pleasant smell (fruity, sweet, rum, caramel) (Table 3 above). Ethyl pyruvate completely eliminates response of the cpA neuron to human foot odor when they are presented together (FIG. 4b ). An arm-in-cage repellency assay was used in this Example using gloves with chemical treated mesh-covered windows to quantify attraction of A. aegypti mosquitoes to the human hand without exposing the hand to mosquito bites or skin to contact with test chemicals. Ethyl pyruvate substantially reduced the number of times mosquitoes landed on the mesh over a human hand (FIG. 4c ). The simplest interpretation of these results when considered along with the previous wind tunnel experiments is that inhibition of the cpA neuron reduces attraction by masking detection of skin odor. This Example demonstrates whether an odorant that can mimic CO2-mediated activation of the cpA neuron can substitute for CO2 as an effective lure. Two modified greenhouses at the Agricultural Experiment Station at the University of California, Riverside, were used as described previously2, with modifications. Fifty laboratory-reared, mated, non-blood fed female C. quinquefasciatus aged 8-14 days and starved for 24 hrs were released each evening around 5 pm and traps collected at ˜7 am. Counter flow geometry traps baited with CO2 (250 ml min−1, ˜670 mmol/hr) odorant were used as described2, with modifications. Odorant solutions in water were dispensed from 20 cm long gauze wicks protruding from uncapped 50 ml tubes beneath the trap outflow. For each trial, one baited trap and one control trap (water-filled) were placed in each of two greenhouses (FIG. 4g ). For two-choice CO2 trials, water was placed under both traps. For two-choice ethyl pyruvate trials, both traps expelled CO2, and one trap also released ethyl pyruvate from an open 2.8×7 cm glass vial. Since ethyl pyruvate has very low volatility pure compound was used to generate ˜1.7 mmol/hr. An empty vial was placed under control traps. Treatment position and trap were alternated across trials. Volume of solution lost from tubes containing 5%, 10%, or 20% cyclopentanone were measured after each trial and the average loss of molecules calculated respectively for 3 concentrations as (±s.d.) of 0.7 (±0.1), 1.7 (±0.4), and 3.8 (±0.3) mmol/hr, respectively. Preference index=(# mosquitoes in odor-baited trap−# mosquitoes in control trap)/(total # mosquitoes caught in both traps). Dose response curves were generated for two strong activators in both A. aegypti and C. quinquefasciatus (FIG. 4d , FIG. 11b ). Cyclopentanone is a strong activator in both these species, is approved as a flavor and fragrance agent, is listed as a GRAS substance, and also has a pleasant minty smell (Table 3 above). Cyclopentanone mimics CO2's temporal activation profile to repeated 1-s stimuli (FIG. 4e,f ), and the cpA neuron tracks changes in levels of both compounds with similar temporal acuity (FIG. 4e , FIG. 11c ), suggesting that mosquitoes will be able to efficiently navigate along plumes of this odorant. Taken together, the strong and conserved cpA response, promising safety and fragrance profile, and ability to mimic CO2 activation made cyclopentanone an excellent candidate for behavioural testing. The efficacy of cyclopentanone as a lure was tested using traps in controlled semi-field experiments with C. quinquefasciatus, a mosquito present in Southern California, where the experiments took place. 50 female mosquitoes were released overnight in a modified greenhouse that contained two counter-flow geometry mosquito traps (FIG. 4g ). One trap was baited with an evaporative lure of cyclopentanone diluted in water, and the second trap was baited with water alone. Mosquitoes preferred cyclopentanone over solvent-baited traps in a dose-dependent manner (FIGS. 4h and 4i ). Remarkably, capture numbers for traps baited with cyclopentanone were comparable to those recorded for traps baited with CO2 in similar trials performed in parallel (FIGS. 4h and 4i ). The number of molecules of cyclopentanone released, calculated from the amount that evaporated during the assay, was ˜176-fold less than the number of molecules of CO2 released to produce a comparable catch rate (Online Methods). To our knowledge, no other odorant-based lure has been able to trap mosquitoes effectively in the absence of CO2, let alone at rates comparable with CO2. For example, traps baited with 10% lactic acid, one of the few known weak attractants of mosquitoes in laboratory assays, did not catch significantly more mosquitoes than control traps (FIG. 4i ). The same assay was also used to test whether the inhibitor ethyl pyruvate could mask detection of a CO2 source. A CO2-baited trap that was also dispensing ethyl pyruvate caught significantly fewer mosquitoes than a control CO2-baited trap (FIG. 4i ). This Example explores the nature of the odorant chemical space detected by the cpA neuron. A single energy-minimized 3D structure was generated for each chemical using Omega2 software (OpenEye). 3,224 molecular descriptors were calculated from 3D structures with the Dragon software package (Talete), values were normalized across compounds, and descriptors that did not show variation were removed. Optimized descriptor subsets were iteratively identified using a Sequential Forward Selection (SFS) method. The SFS approach selected descriptors that increased the correlation between ligand activity and chemical similarity, calculated using Euclidean distance from descriptor values. Ligands that evoked >30 spikes s−1 were classified as activators, and those that reduced baseline firing rate by >5 spikes s−1 were classified as inhibitors. This process was run independently for each of 3 training sets (aromatic/cyclic ligands, straight-chain ligands, and a combined set), resulting in 3 unique descriptor subsets. These three activity-optimized descriptor subsets were combined into a single descriptor set with 64 descriptors representing molecular features that predict CO2 receptor activity. Optimized descriptor values were used to cluster active ligands and as features for principle component analysis (PCA). Computational analysis was performed in R.
Each activity-optimized descriptor set was applied to rank a library of >440,000 compounds based on the Euclidean distance of each chemical from a previously known ligand. The compound library comprised 3,197 volatile compounds from known origins including plants51, insects52, humans20-23, 53-55, a fragrance collection56 including fruit and floral volatiles, and additional compounds from the eMolecules catalogue selected for having similar physical properties to known odorants (<350 MW and atoms C, O, N, H, I, Cl, S, F). A new receptor-optimized descriptor set (Table 4) was calculated based on ligand activity data for A. aegypti alone (this study). This descriptor set was utilized to train a Support Vector Machine (SVM) using regression and a radial basis function kernel available in the R package e1071, which integrates libsvm. Optimal gamma and cost values were determined using the Tune.SVM function. The resulting trained SVM was then applied to predict activity for compounds from the >440,000 compounds. Twenty independent 5-fold cross-validations of the computational approach was performed. For each validation, the dataset of known ligands was randomly divided into 5 equal sized partitions and 4 of the partitions were applied to train the SVM and the remaining partition, which was not used for training, was used to test predictive ability. This process was repeated 5 times for each independent run with each partition excluded and used to test predictive ability exactly once. The overall predictive ability was calculated as a single receiver operating characteristic (ROC) curve for all 20 independent validations. Predicted ligands were screened for organoleptic odor profile using a flavor and fragrance database. Compounds that did not have foul smells and were categorized as flavor, fragrance or cosmetic agents were considered for purchase. A few additional compounds were also selected after cross-checking MSDSs and other literature to leave out carcinogens, neurotoxins, etc. The action potentials evoked in the cp sensillum by CO2, whole foot odor, and odorants from multiple structural classes were first analyzed to confirm that cpA's action potentials can be distinguished unambiguously in each case by their characteristically large relative spike amplitude (FIG. 8). To investigate structural similarities of cpA ligands, their relationships in chemical space were analyzed. The 3 sets of optimized descriptors used to predict cpA ligands (FIG. 3a ) include a total of 64 molecular descriptors representing structural features that predict cpA activity, so were used to map the position of each tested skin odorant in 64-dimensional space. Principle component analysis (PCA) makes it possible to visualize the optimized descriptor-based relationships between each of the tested skin odorants in a 3-dimensional chemical space (dark green dots, FIG. 5a ). Most active skin odorants were observed to be present in a relatively small region of this chemical space. Ligands that were predicted in silico and confirmed as activators by electrophysiology (light green dots, FIG. 5a ) populate regions that overlap with the active skin odorants. Inhibitory odorants also overlap the same regions, suggesting that their effect may be mediated via similar binding sites on the CO2 receptor (red dots, FIG. 5a ). Odorants that did not show activity are mostly found in a non-overlapping region (grey dots, FIG. 5a ). Next, this Example seeks to determine whether an additional set of 110 compounds that had previously been tested on an A. gambiae odor receptor (Or) repertoire, including many skin odorants, occupied a similar region of chemical space. Although these diverse compounds are broadly dispersed, they show limited overlap with the cpA ligand space (black dots, FIG. 5a ). The functional groups were observed to distributed widely in optimized-descriptor defined chemical space (FIG. 5b ). By superimposing activity of the cpA ligands using bubble plots as before, it becomes apparent that stronger ligands include chemicals from diverse functional classes (FIG. 5c ). 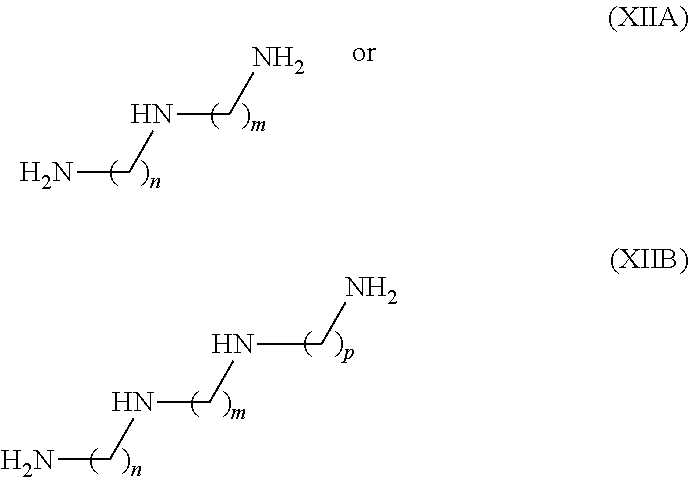 Presumably relevant parts of 3D chemical structure are more important in bringing these ligands together in chemical space than characteristics like functional group. Hierarchical clustering was used to group ligands of the CO2 receptor by structural similarity, measured by Euclidean distance in 64D optimized descriptor space (FIG. 5c ). The resulting tree had roughly three branches, each populated by structurally distinct odor classes: substituted pyrazines and pyridines, other cyclic compounds, and short aliphatic chemicals. These three broad ligand classes and CO2 appear structurally different, and it will be interesting to test whether they bind to different regions of the heteromeric CO2 receptor (Gr1, Gr2, and Gr3). Additionally, predictionary accuracy was increased through machine learning. The activities of the newly tested odorants (FIGS. 1c, 3b, and 3c ) allowed for further improved ligand predictions for the CO2 receptor. The activities of all tested odorants were used to identify a single optimized descriptor set as before (Table 4 below). A machine learning approach called Support Vector Machine (SVM) was incorporated to select CO2 receptor ligands. A widely applied computational validation called 5-fold cross validation indicated that the SVM based approach had a substantially higher Area-under-curve (AUC) value indicating improved ligand prediction (FIG. 5e ). From the top 200 ligand predictions made using this method, 20 compounds were obtained and tested, of which 13 activated the cpA neuron>30 spikes−1, and 2 inhibited the neuron, yielding a remarkably improved success rate of 75% (FIG. 5f , Table 5 below). This example demonstrates that certain polyamine compounds may exhibit repellent activity. The amines listed in Table 6 below were tested using an assay to determine inhibition of CO2 receptor neuron activity. Dose response values for spermidine and spermine were also determined, as summarized in Table 7 below. The polyamines were diluted 0.001 to 10% in paraffin oil (PO). Also shown in Table 7 are the activity values of the CO2 receptor neuron during the spermidine and spermine stimulus windows (error bars=s.e.m.). Series Activity s.d. s.e.m. Inhibition s.d. s.e.m. 2: A method of attracting an arthropod comprising exposing the arthropod to a composition comprising cyclopentanone, 1H-pyrrole, butan-2-ol, 2-methylpropan-1-ol, or 2-methyloxolane, or any combination thereof. 3: The method of claim 2, wherein the arthropod is a mosquito. 4: The method of claim 2, wherein the composition is formulated into a lotion, a cream, a spray, a dust, a vaporizer, a treated mat, a treated outerwear, an oil, a candle, or a wicked apparatus. x is 0 to 8. 6: The method of claim 5, wherein W is —NH2. 7: The method of claim 6, wherein x is 1 or 2.
p, where present, is 1 to 5. 9: The method of claim 8, wherein n, m, and p, where present, are each independently 1 to 4. 10: The method of claim 5, wherein the compound of formula (XII) is pentan-1-amine or hexan-1-amine. 11: The method of claim 8, wherein the compound of formula (XIIA) is N-(3-aminopropyl)-1,4-butanediamine. 12: The method of claim 8, wherein the compound of formula (XIIB) is N—N′-bis(3-aminopropyl)-1,4-butanediamine. 13: The method of claim 5, wherein the arthropod is a mosquito. 14: The method of claim 5, wherein the composition is formulated into a lotion, a cream, a spray, a dust, a vaporizer, a treated mat, a treated outerwear, an oil, a candle, or a wicked apparatus. 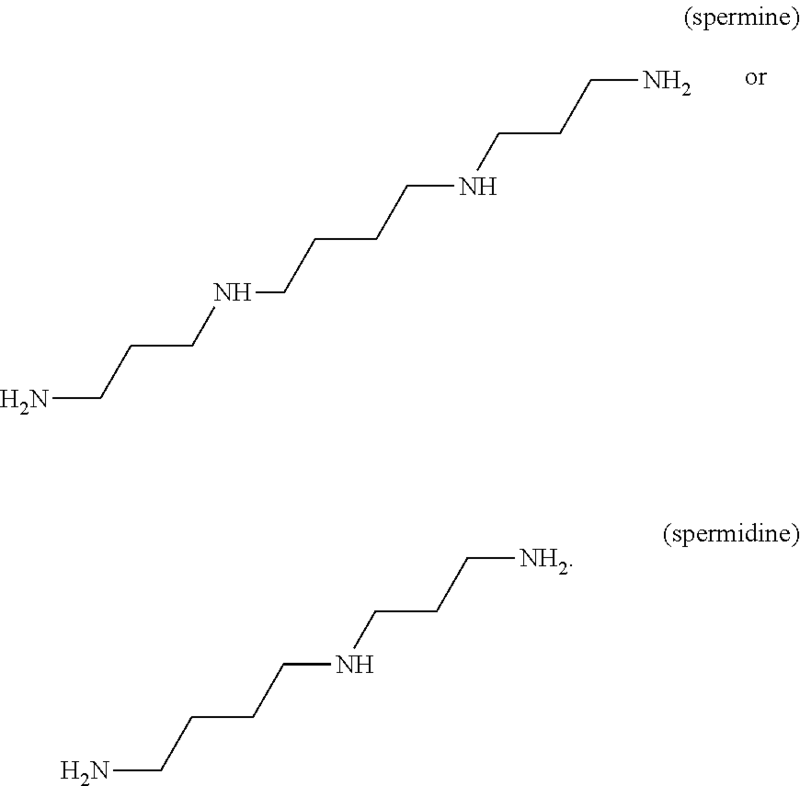 15: A method of repelling an arthropod comprising exposing the arthropod to a composition comprising propanal, thiophene-2-thiol, N-methylmethanamine, pentan-1-amine, N—N′-bis(3-aminopropyl)-1,4-butanediamine, N-(3-aminopropyl)-1,4-butanediamine, or hexan-1-amine, or any combination thereof. 16: The method of claim 15, wherein the arthropod is a mosquito. 17: The method of claim 15, wherein the composition is formulated into a lotion, a cream, a spray, a dust, a vaporizer, a treated mat, a treated outerwear, an oil, a candle, or a wicked apparatus. BRPI0808325A2 (en) * 2007-03-12 2015-02-03 Activetrad Proprietrad Ltd "Use of a compound to attract and insentos composition for controlling pests"